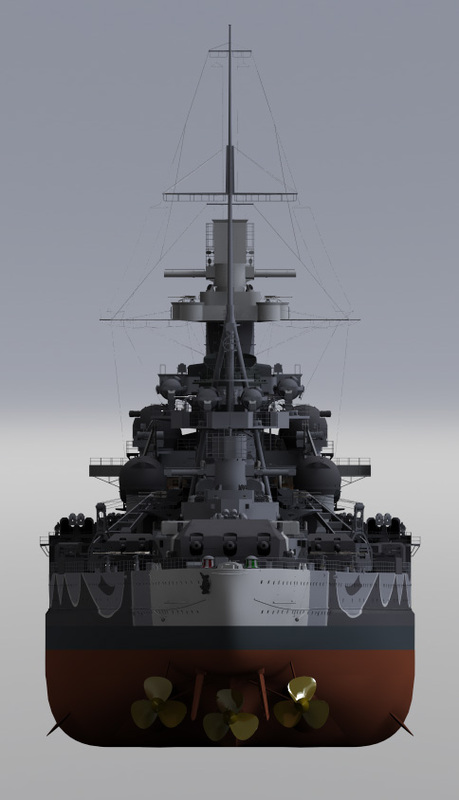 After quite awhile I have finally spent a little time working on replacing the blue paint scheme with a gray one. 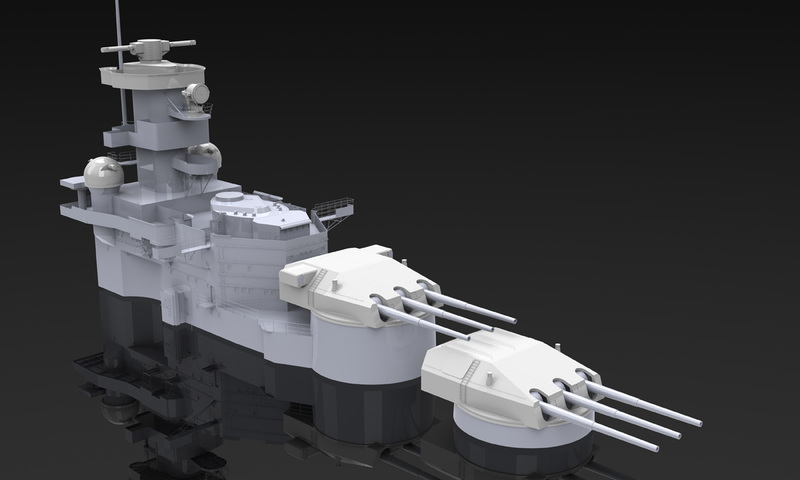 It was usally done in fits and spurts and took me several months with about 6 hours over the last week to finally complete it. 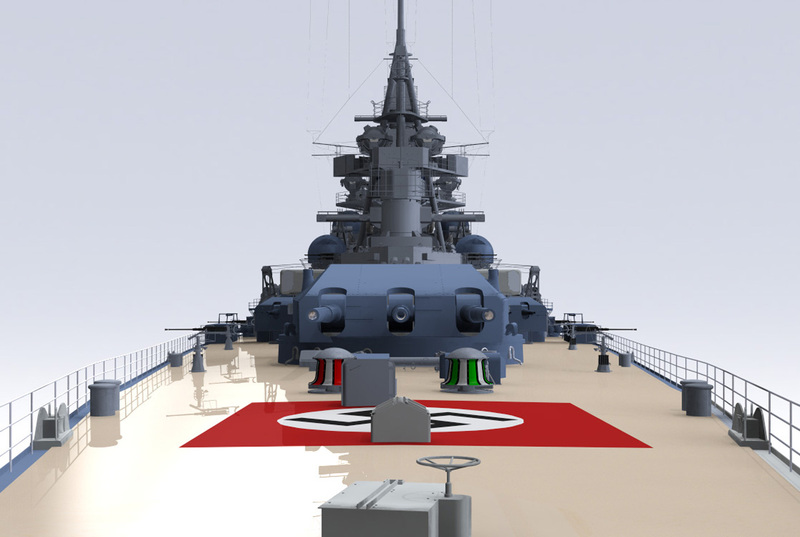 The colors involved were as follows. 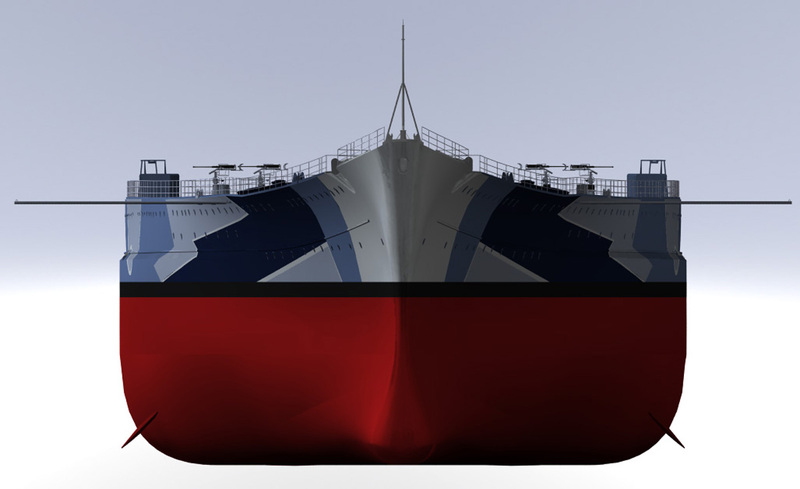 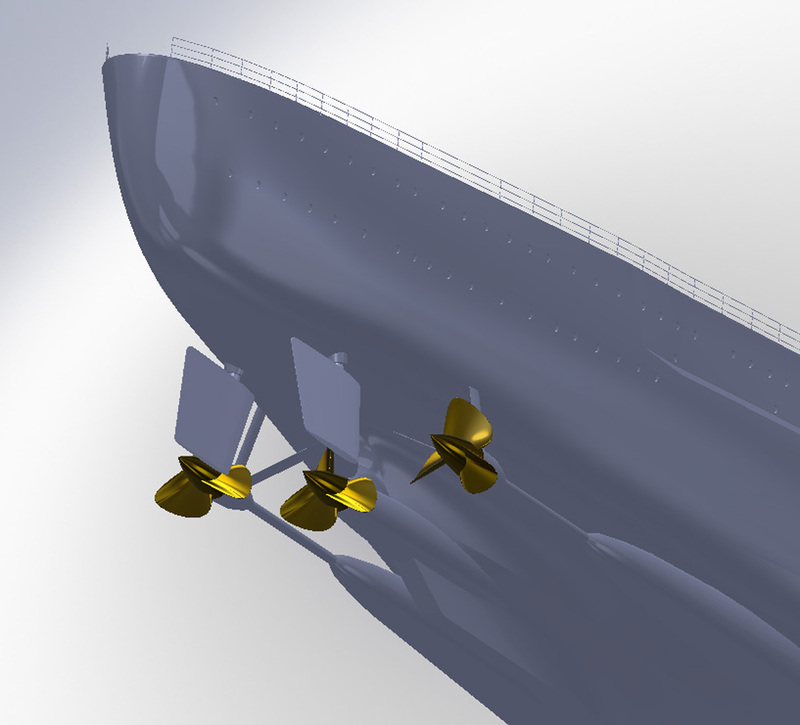 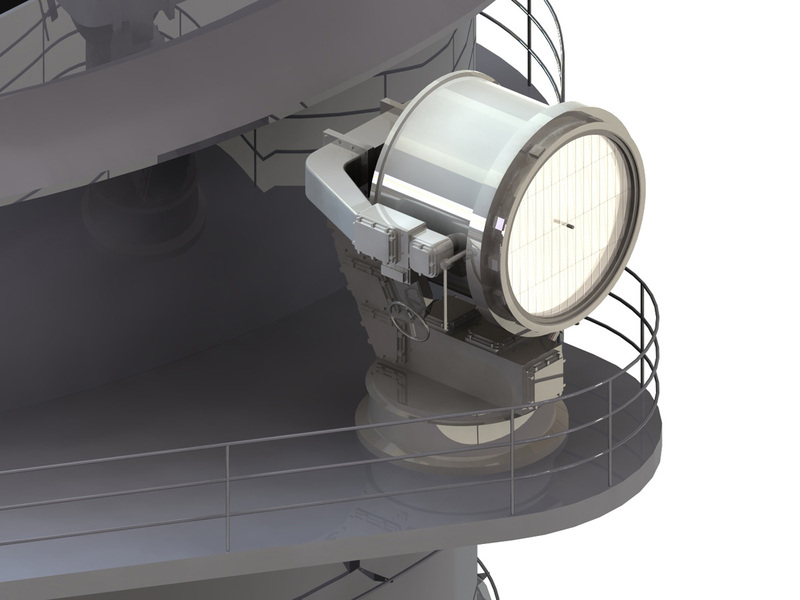 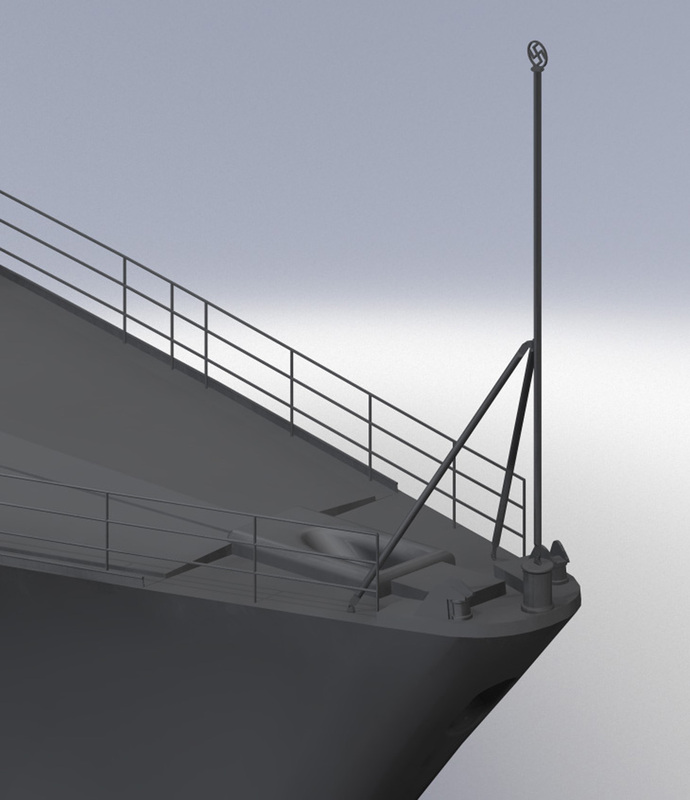 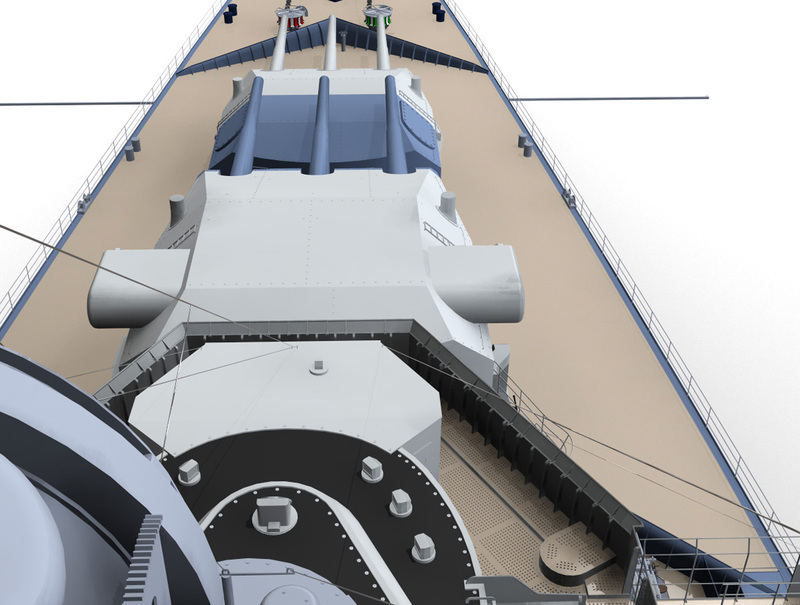 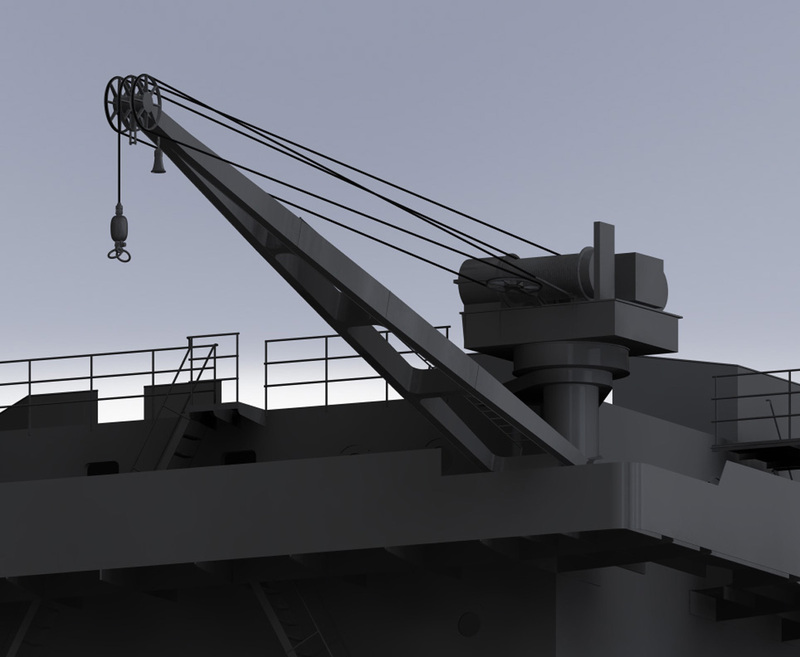 RAL 9002 Weiss (white) was used on the bow, stern and foretop. 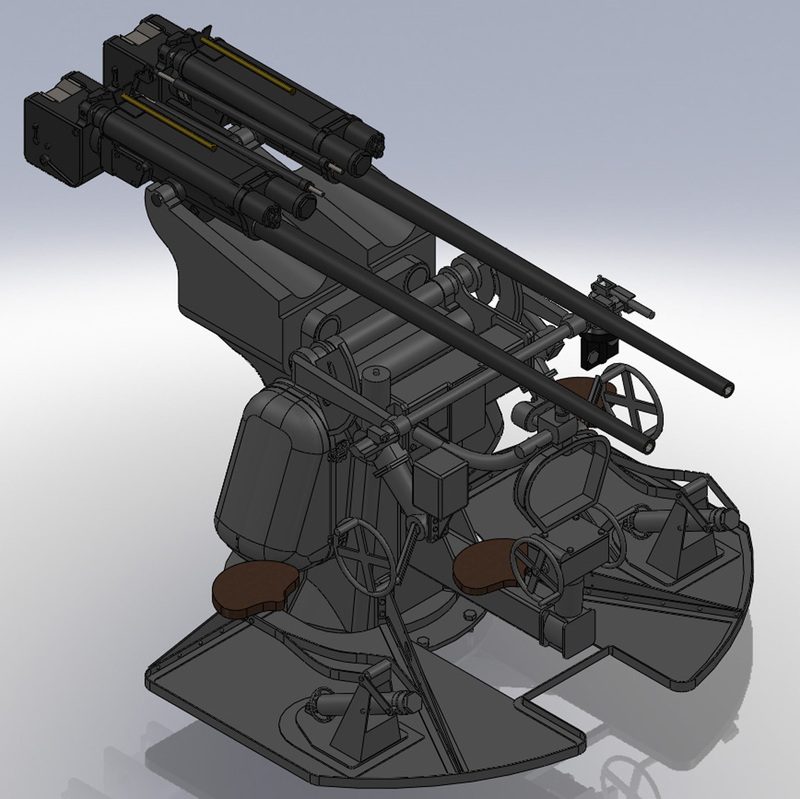 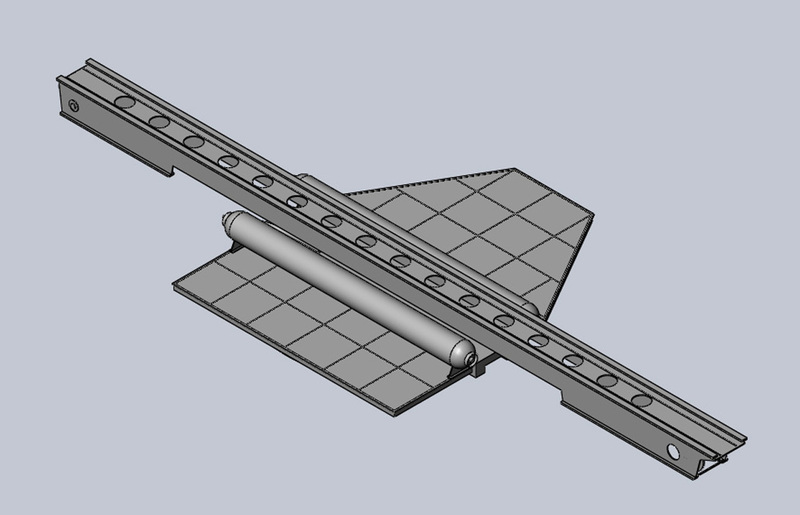 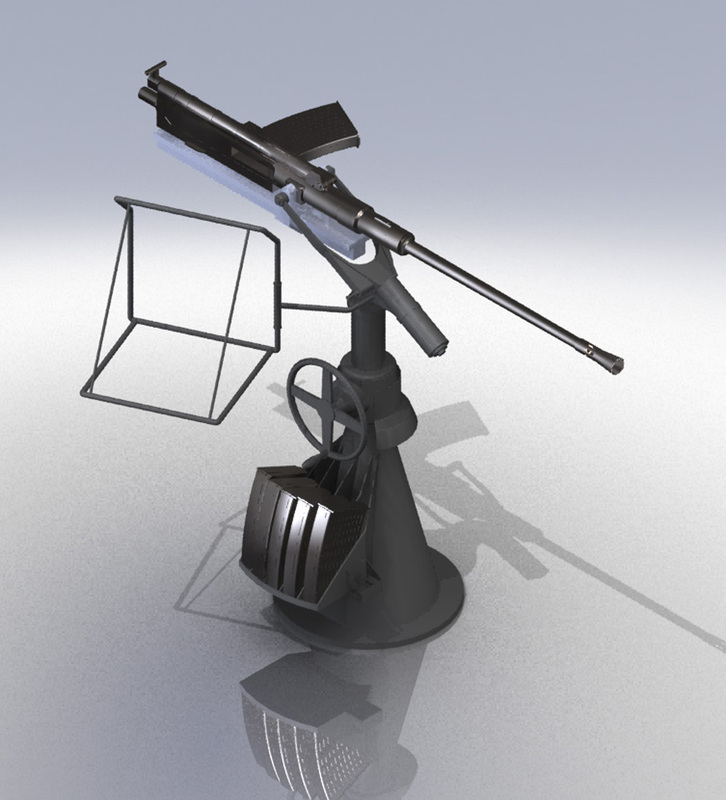 RAL 7000 Dunkelgrau 51 (medium gray) is probably the most used gray color. 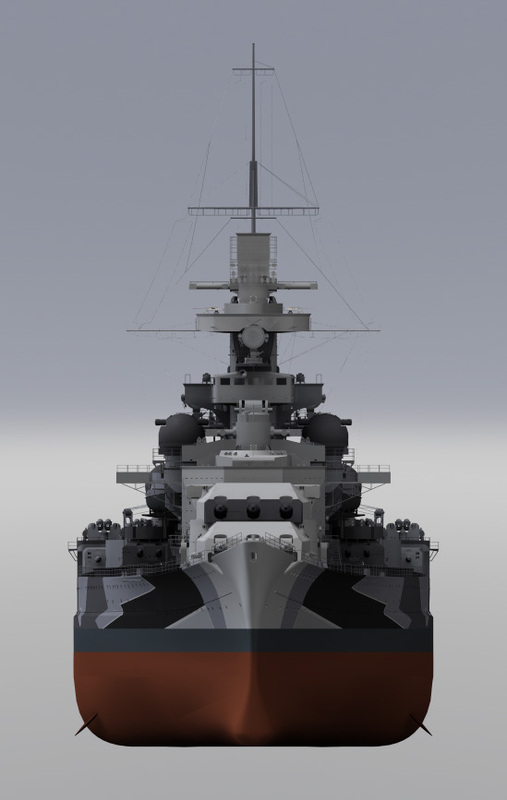 It is accentuated with the modest use of RAL 7001 Hellgrau (light gray) and immodest use of RAL 7024 dunkelgrau 52 (dark gray). 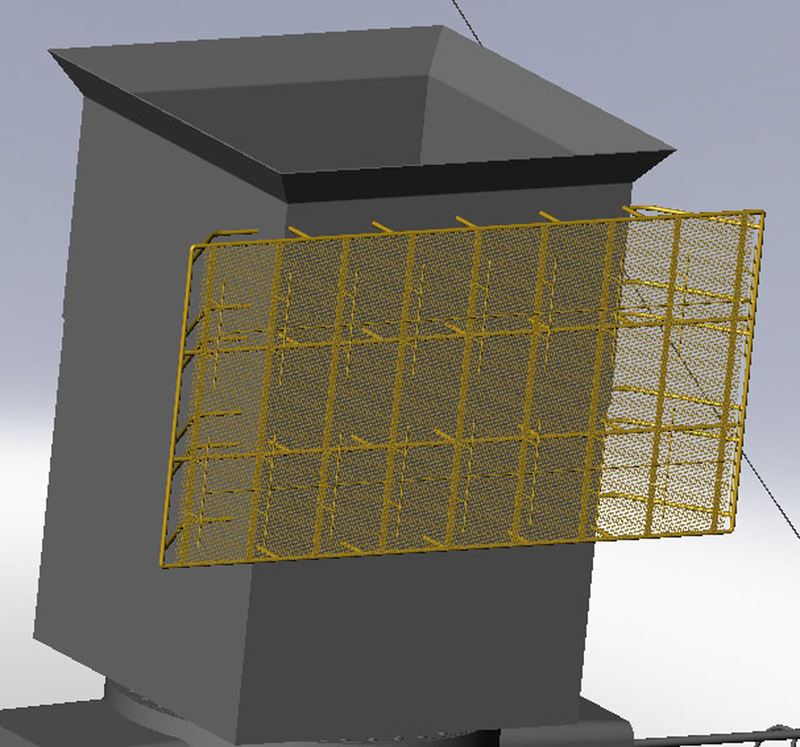 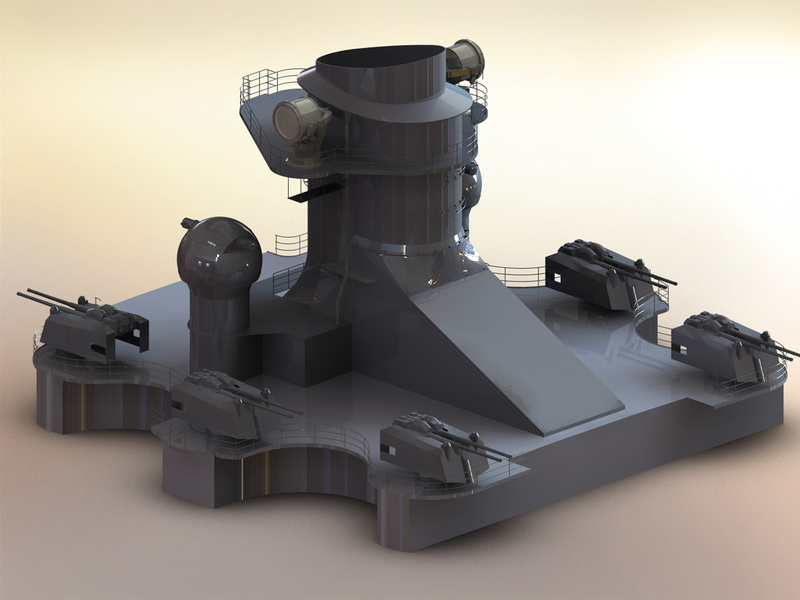 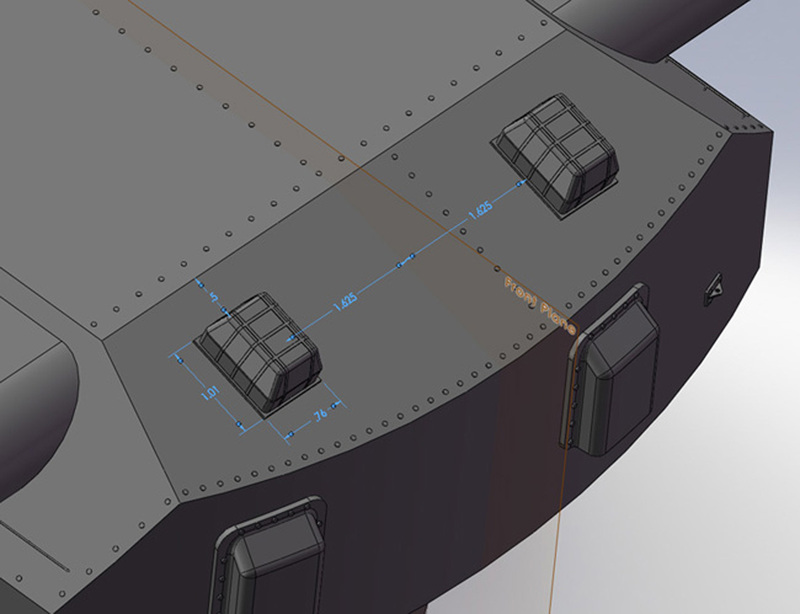 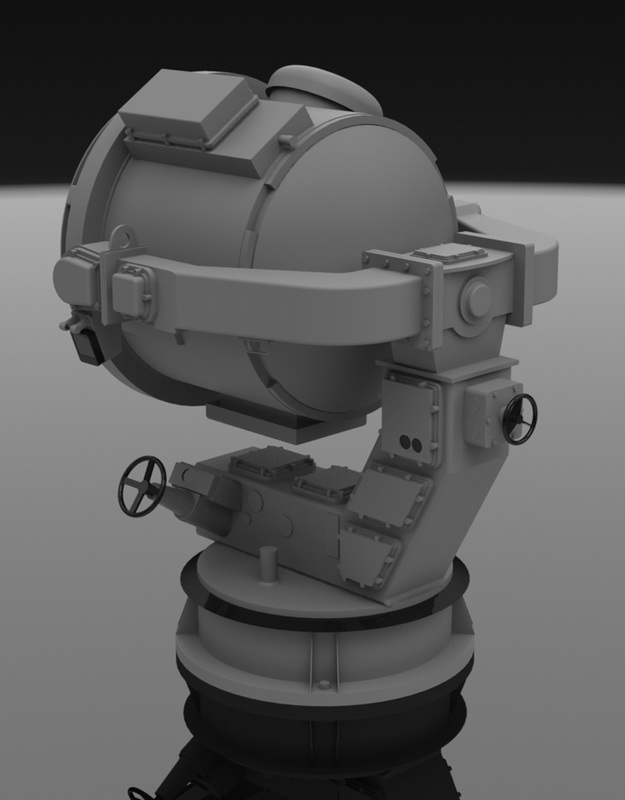 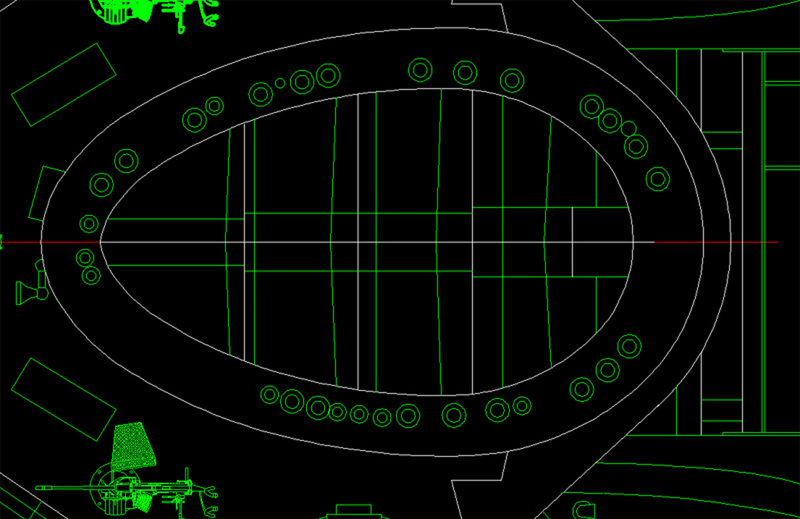 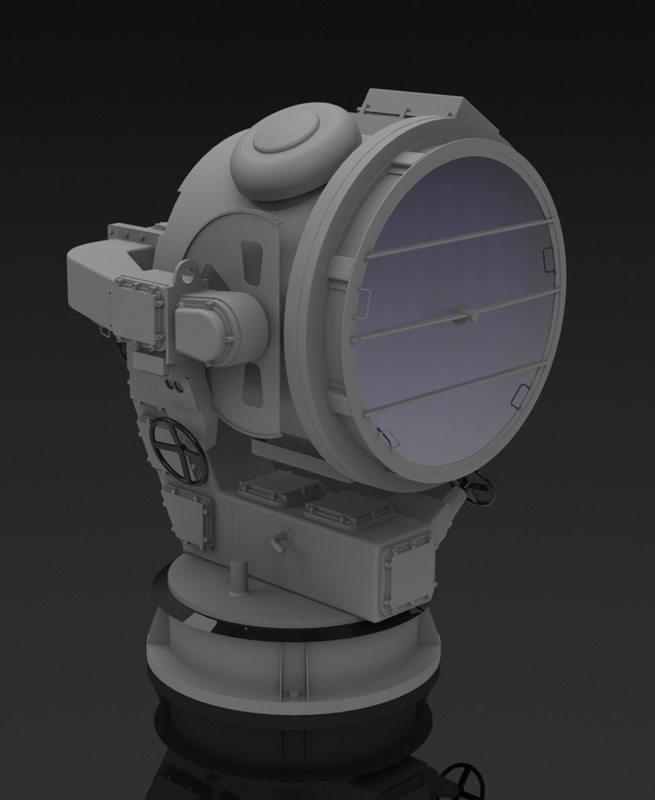 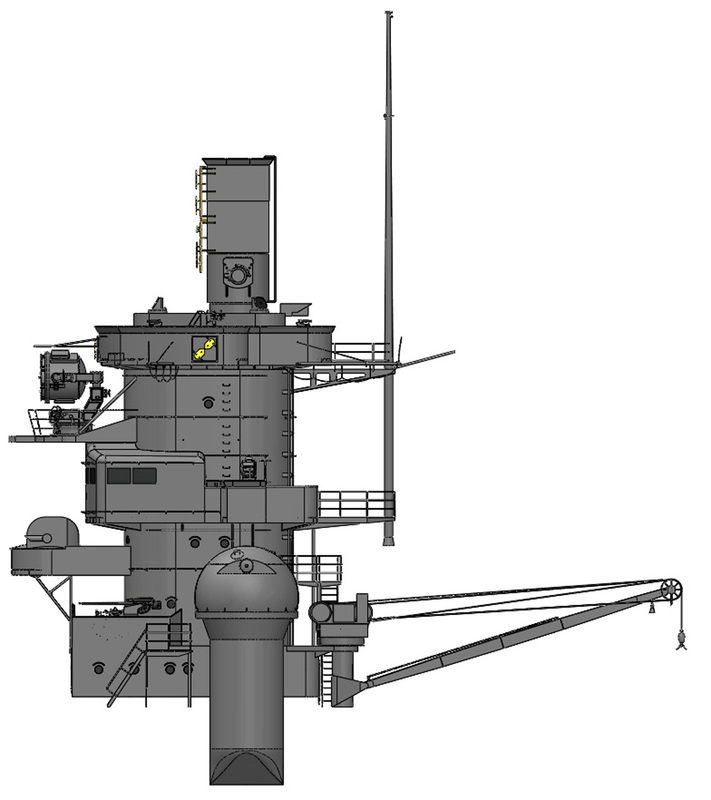 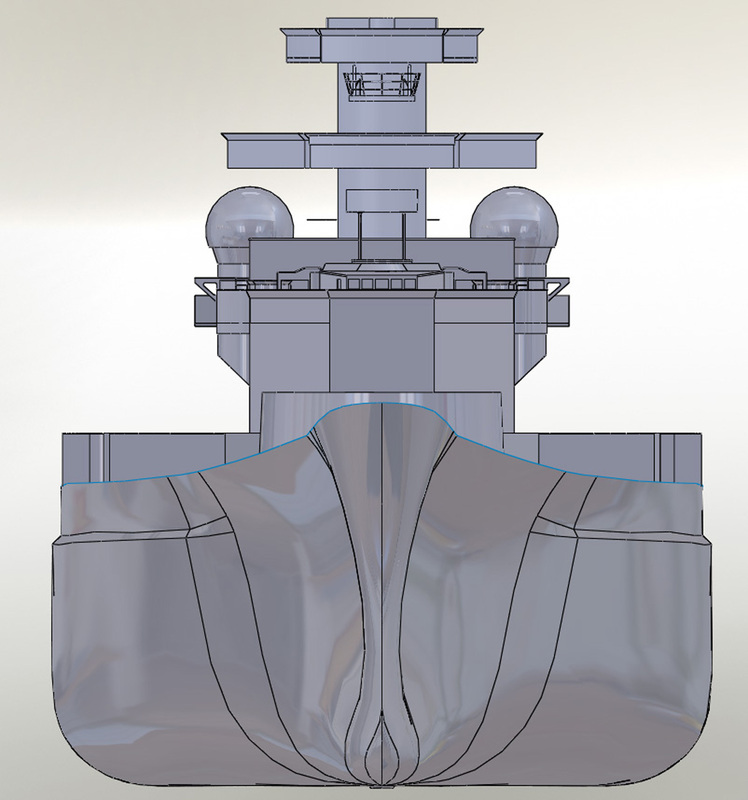 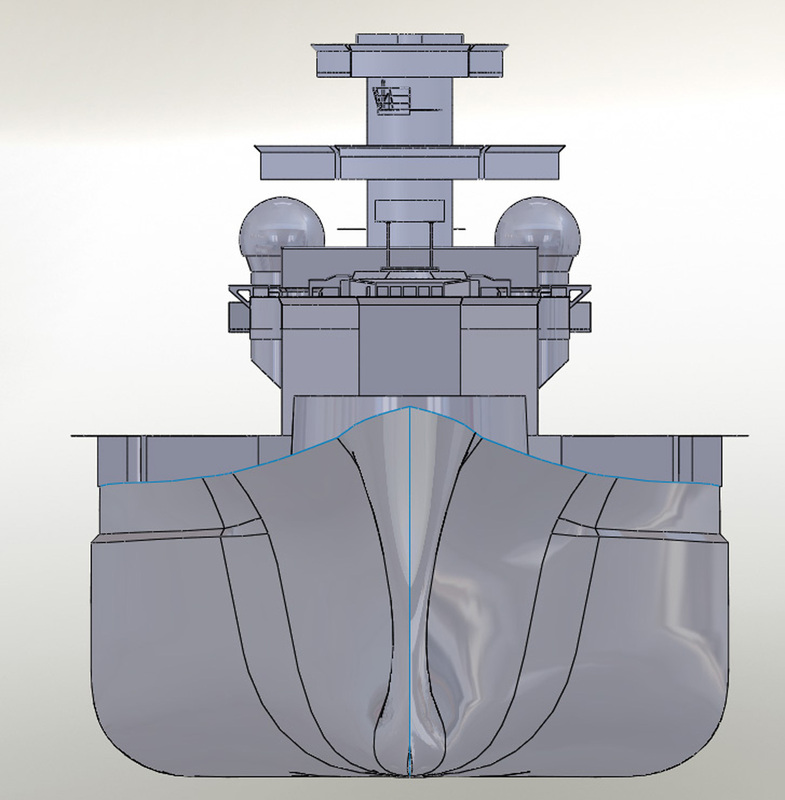 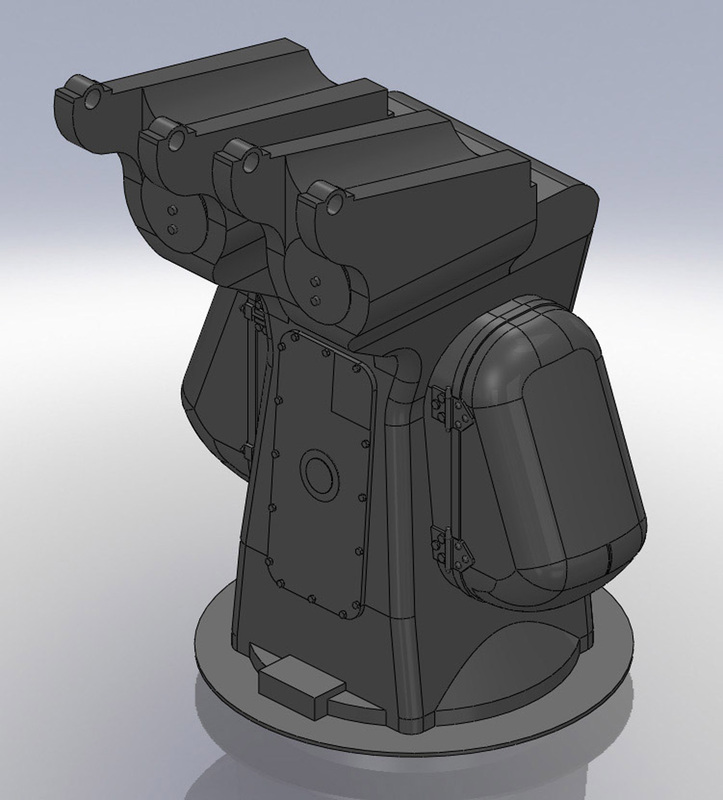 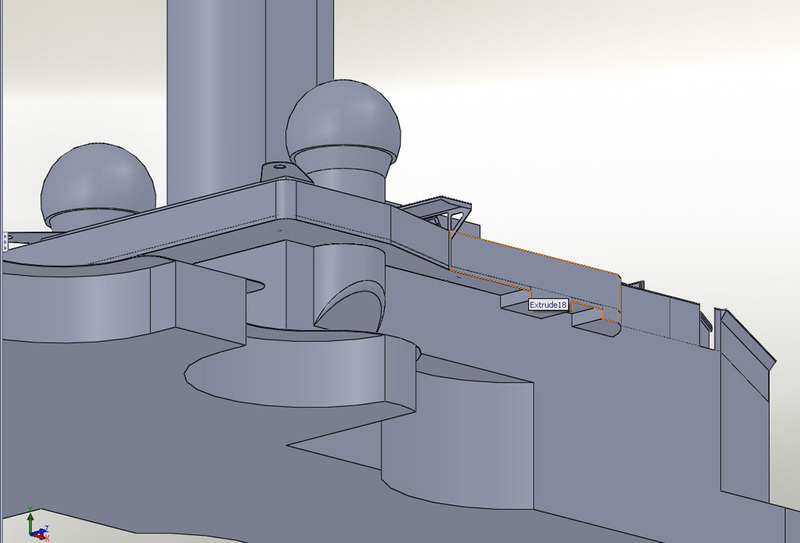 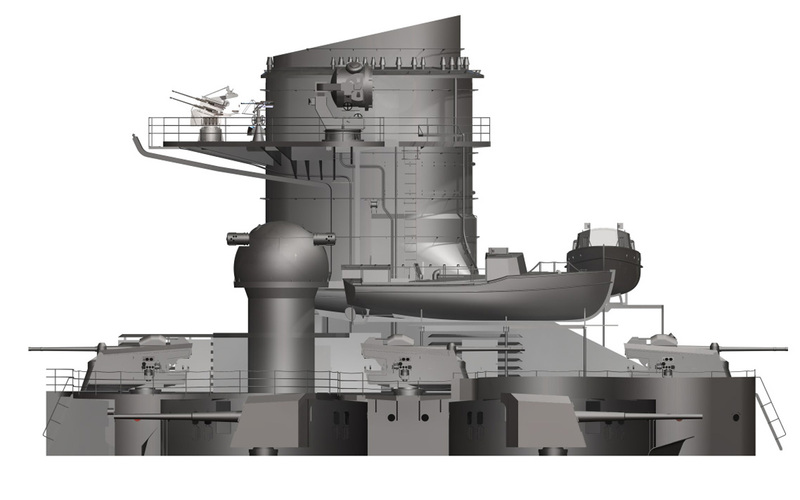 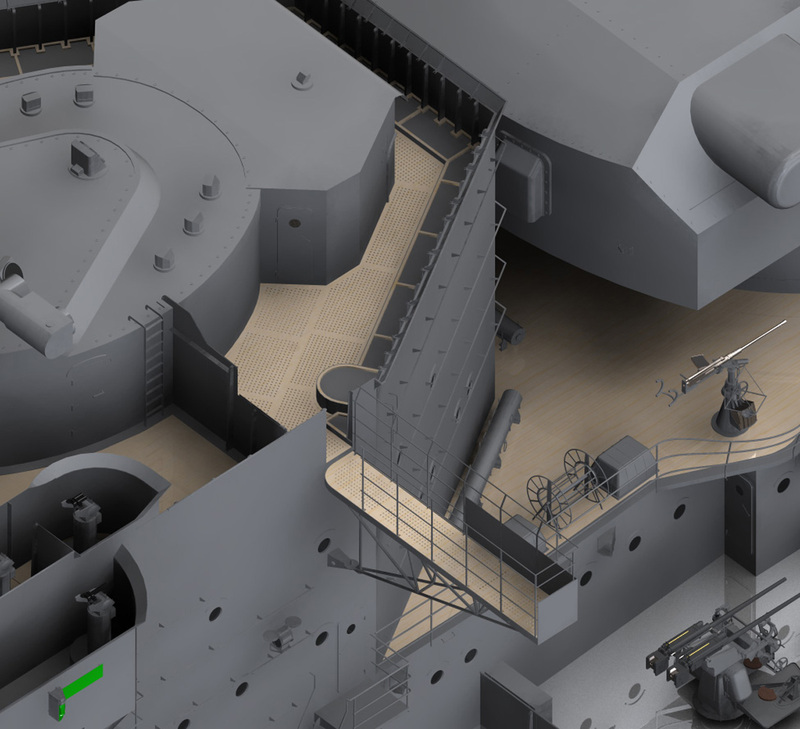 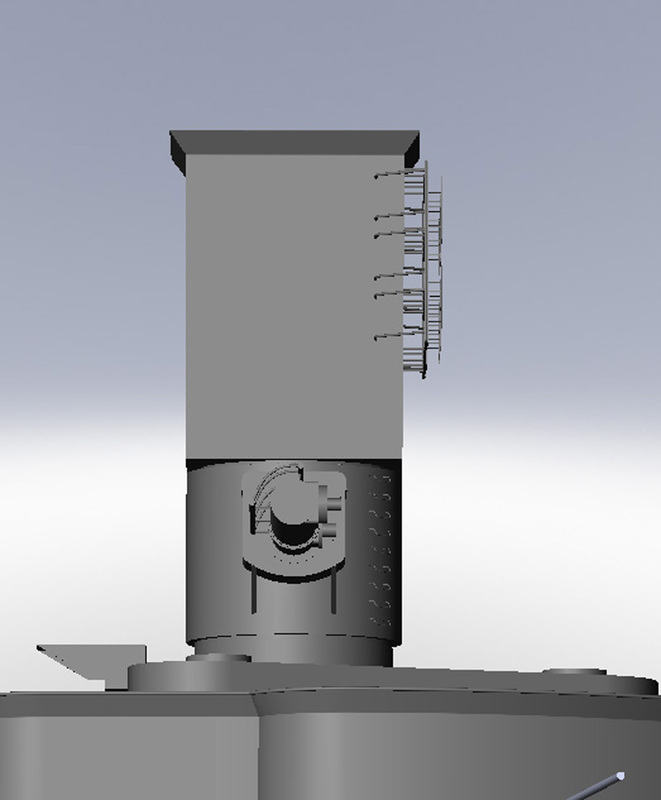 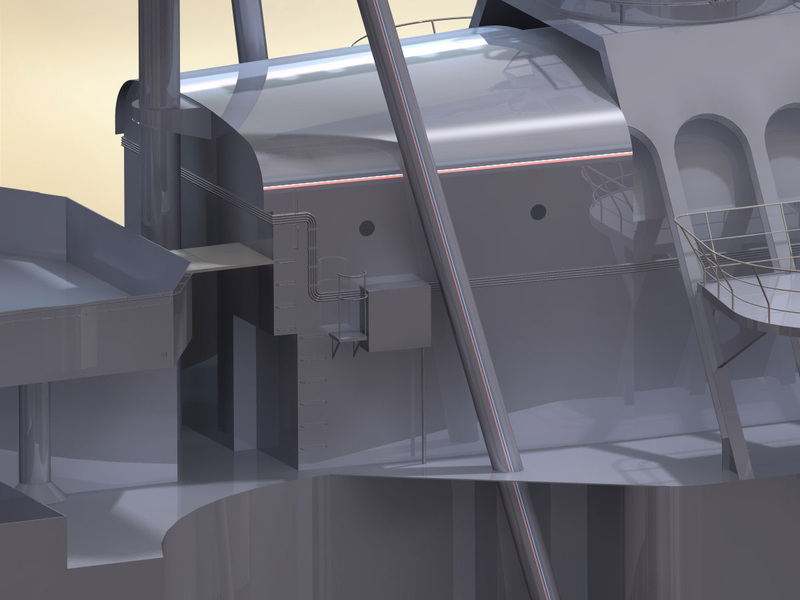 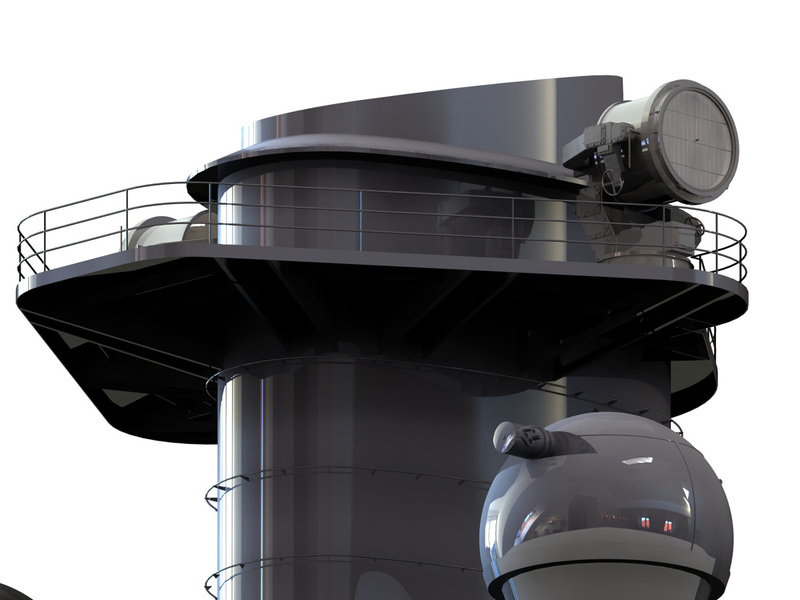 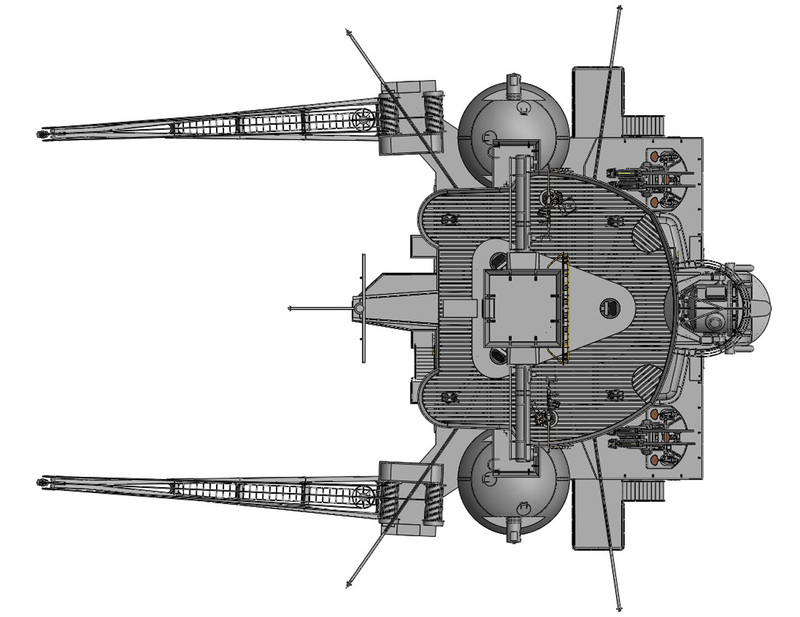 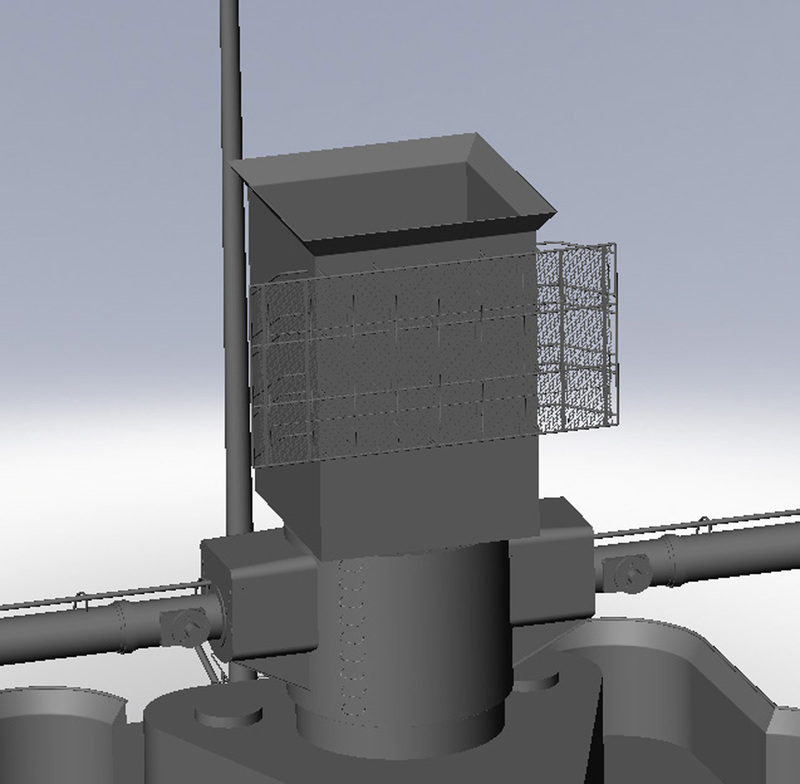 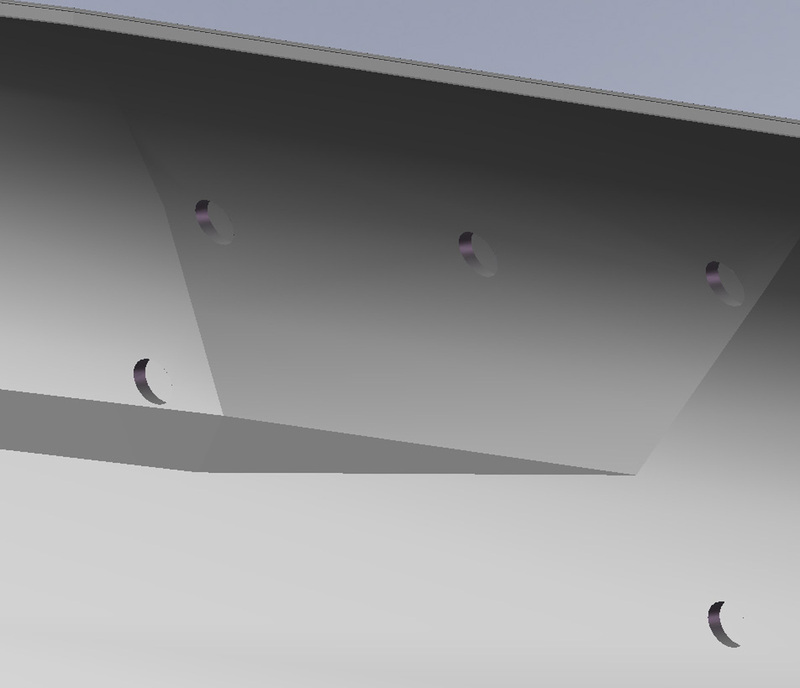 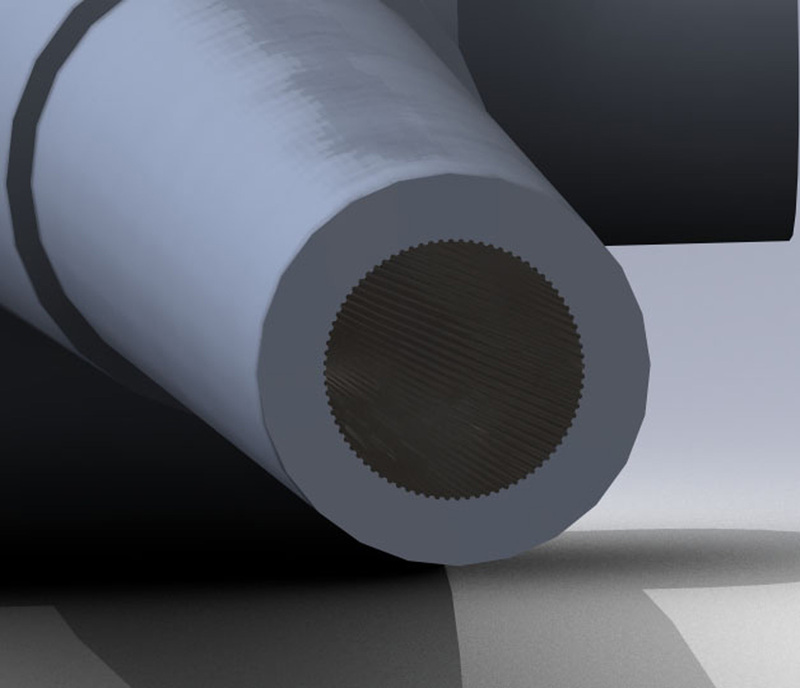 On the each side of the hull there is one patch of RAL 9005 schwarz (black) forward of Anton turret. 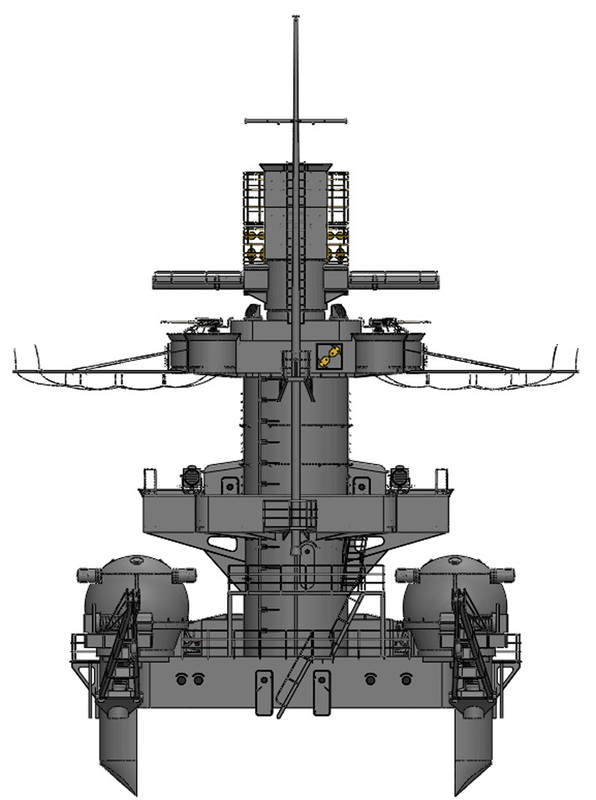 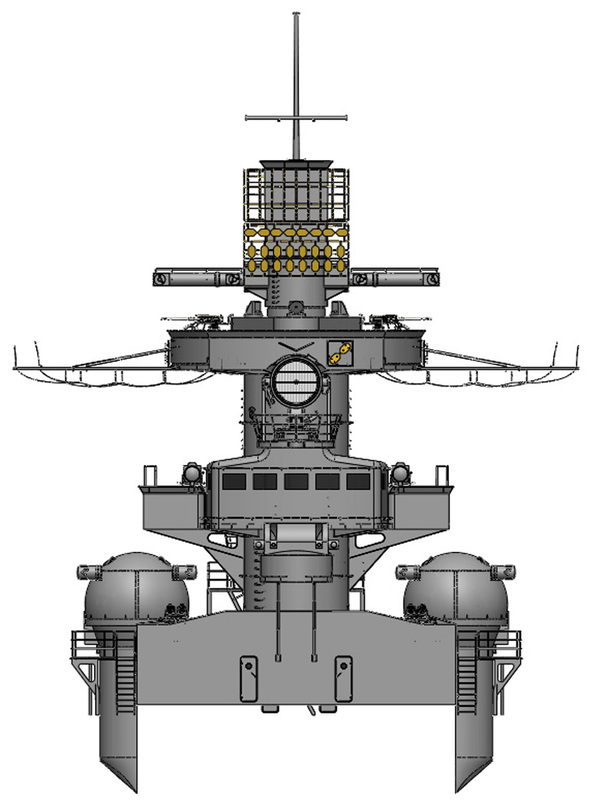 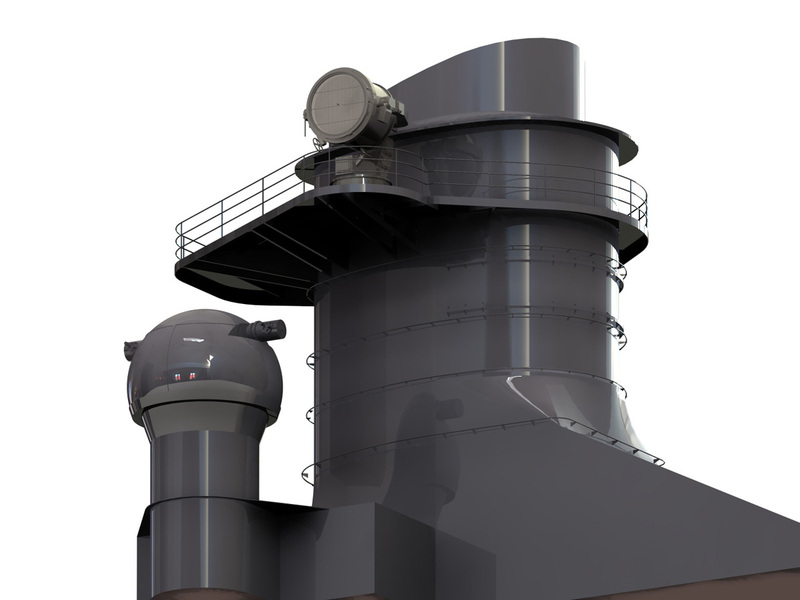 The boot topping is RAL 7016 dunkelgrau 51 (dark gray), and it is also used as an anti glare coating on top of the bridge and aft fire control. 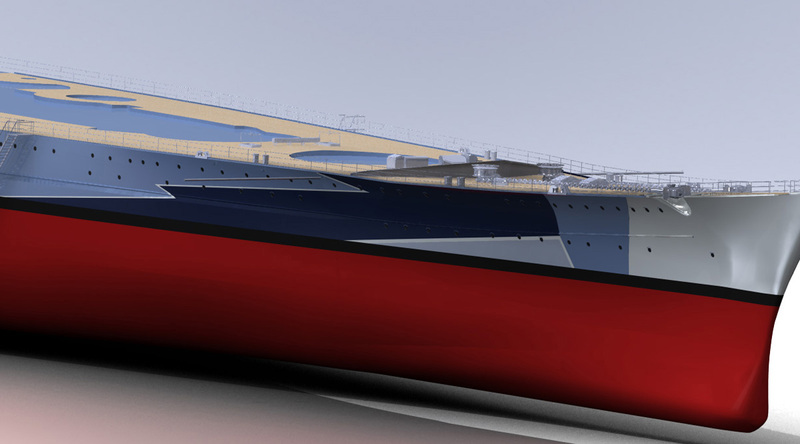 The anti-fouling is RAL 8013 deckfarbe rot (reddish brown). 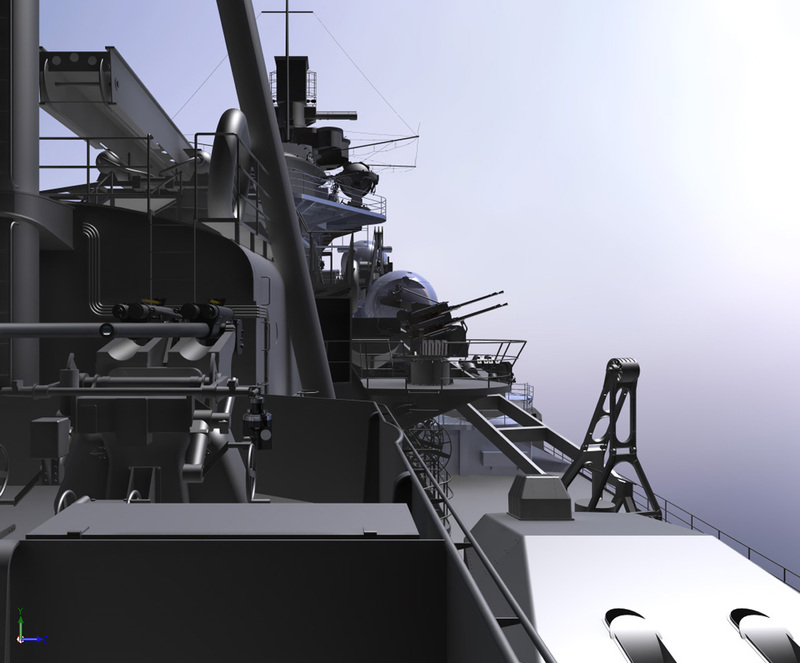 The white and black of the air recognition panel are the aforementioned weiss and schwarz. 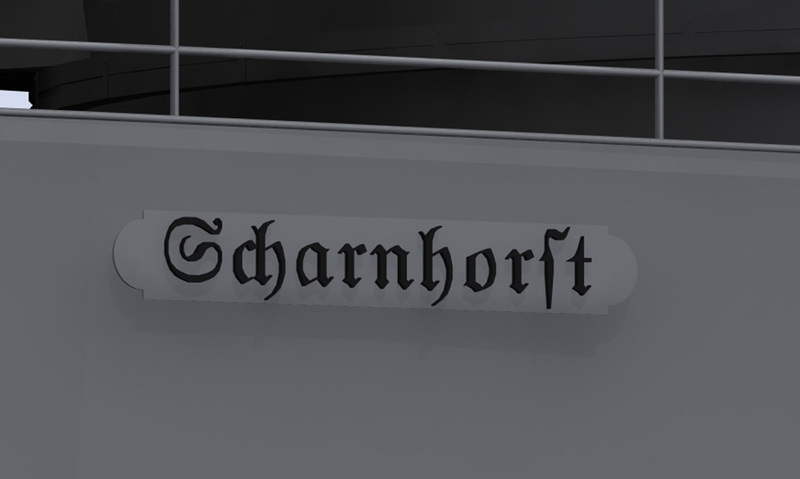 The red on the air recognition panel is RAL 3011 feuerschiffsfarbe rot (fireship red) which was a guess, but I think it looks good. 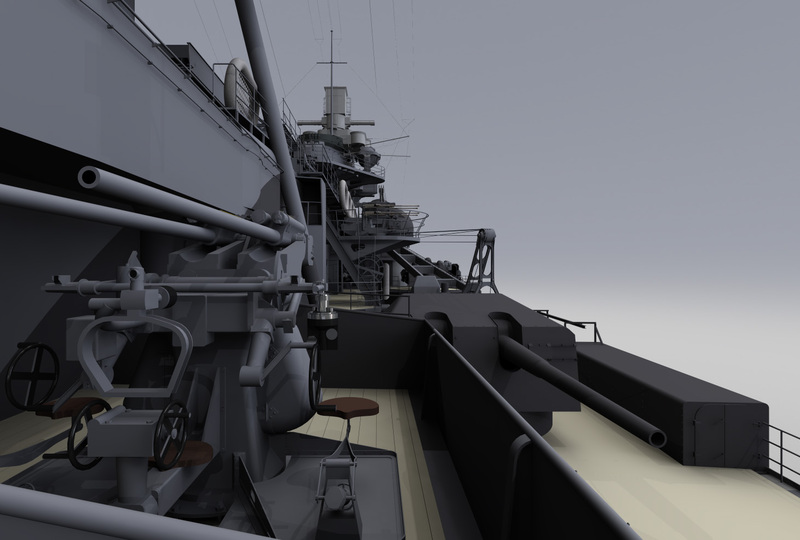 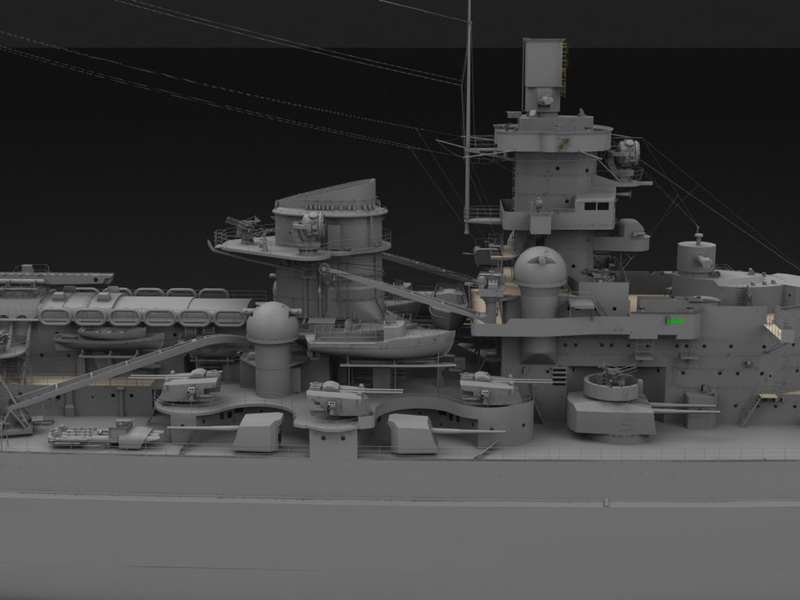 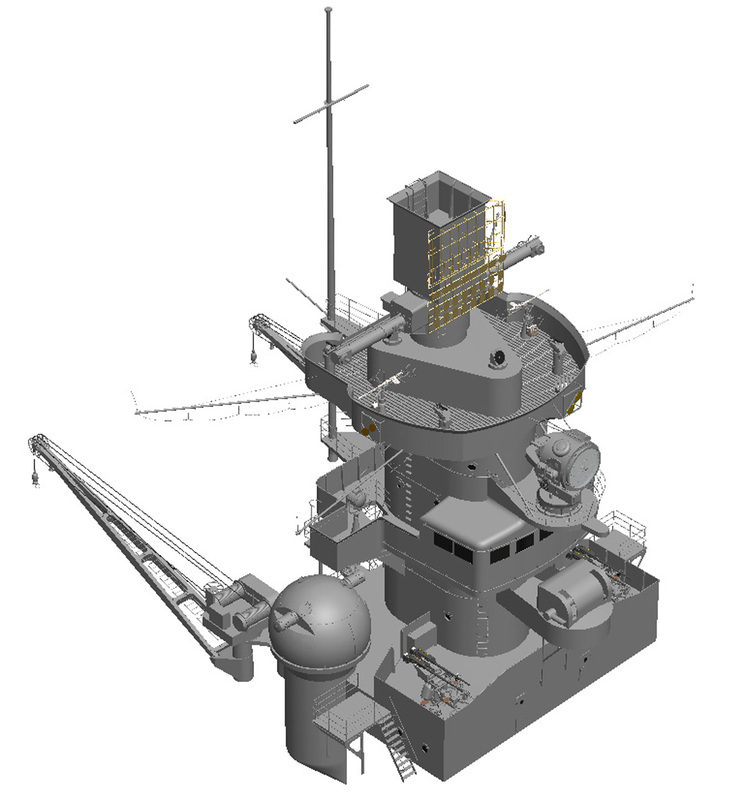 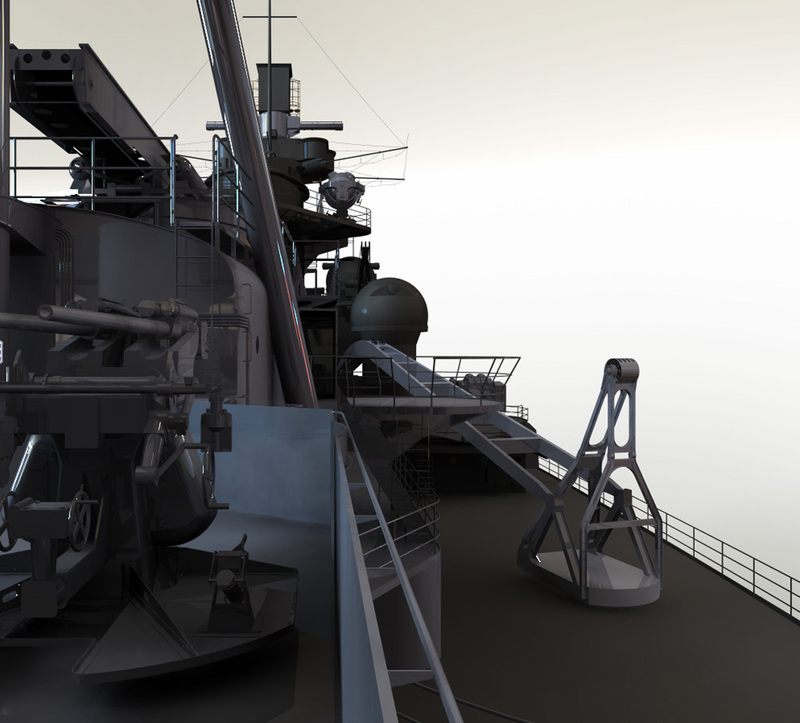 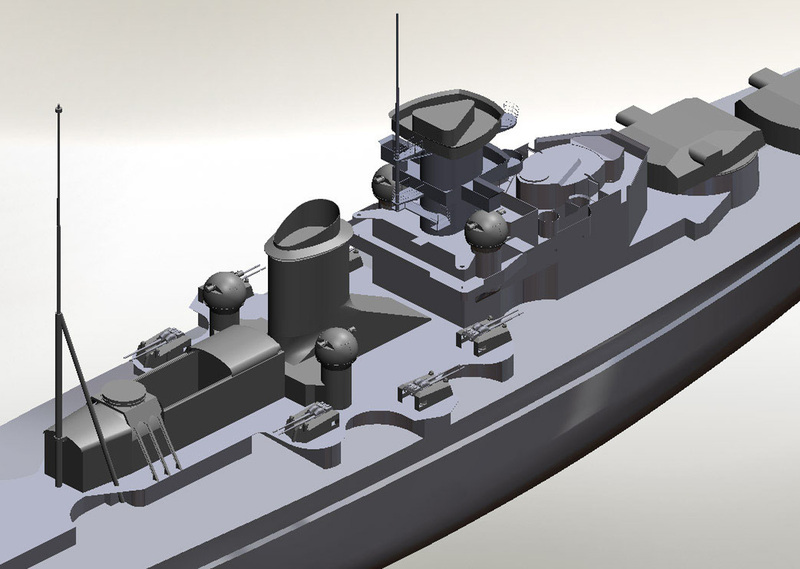 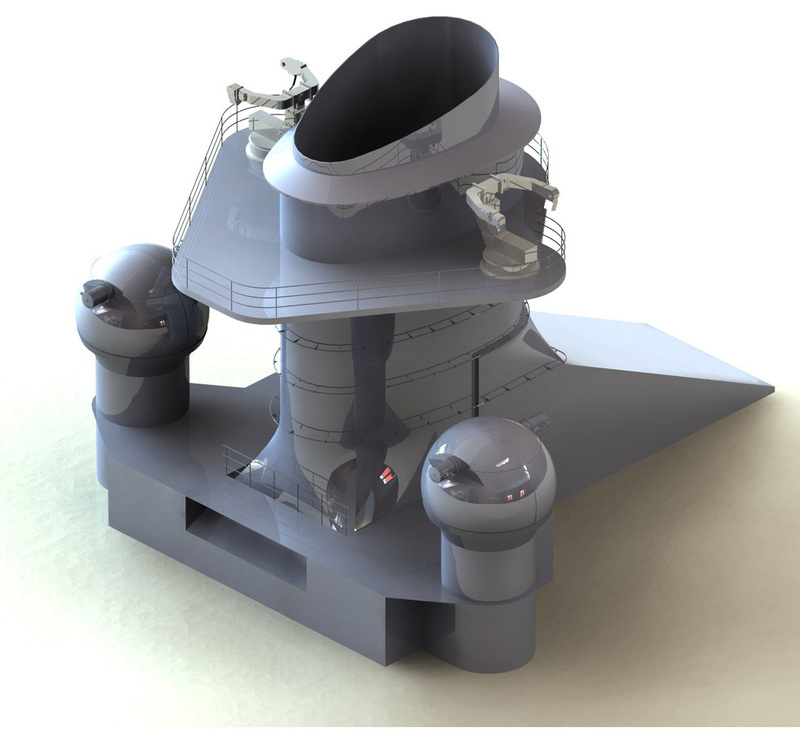 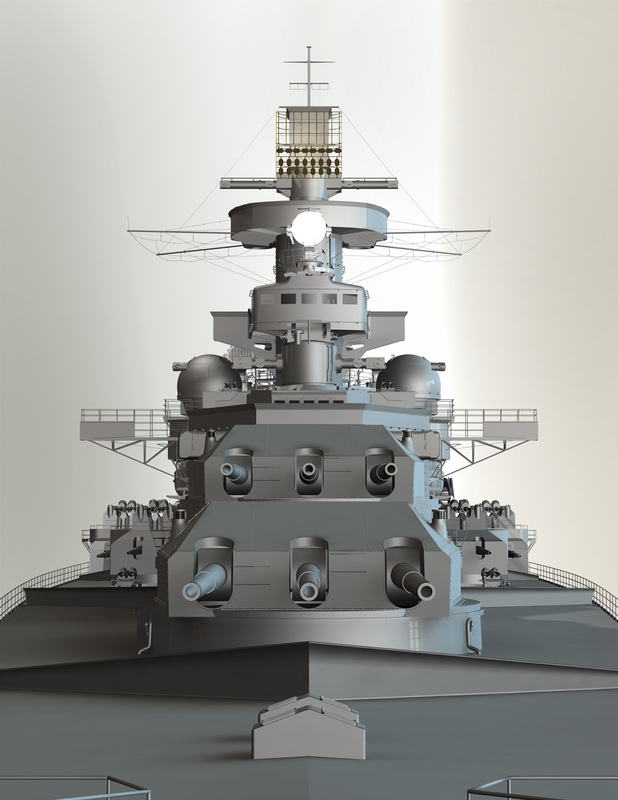 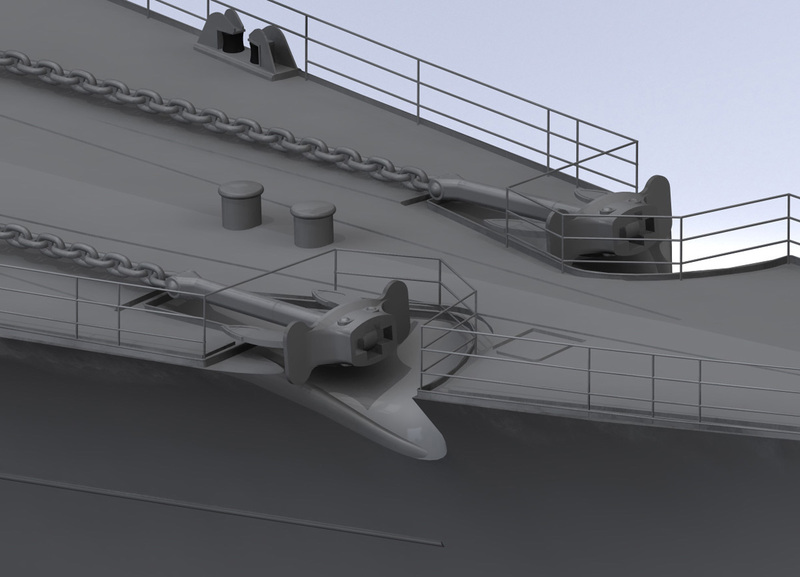 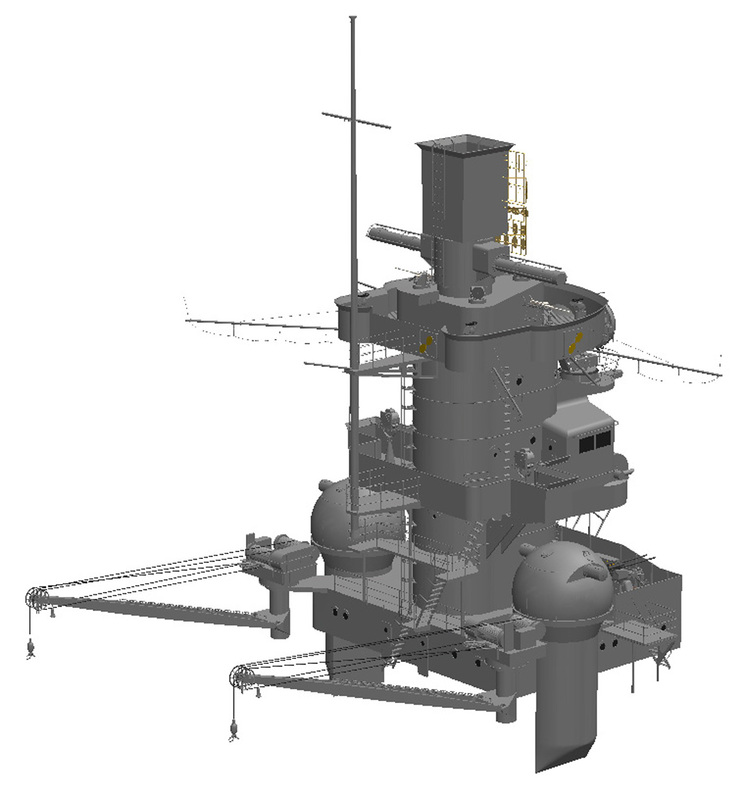 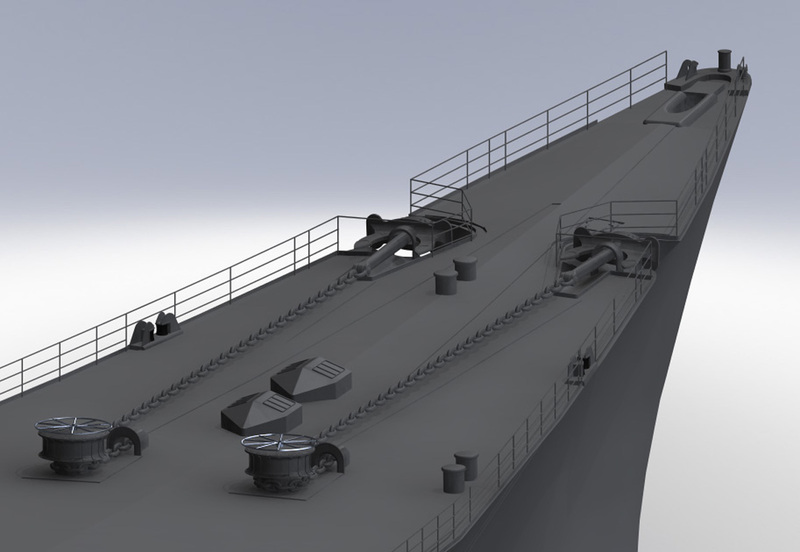 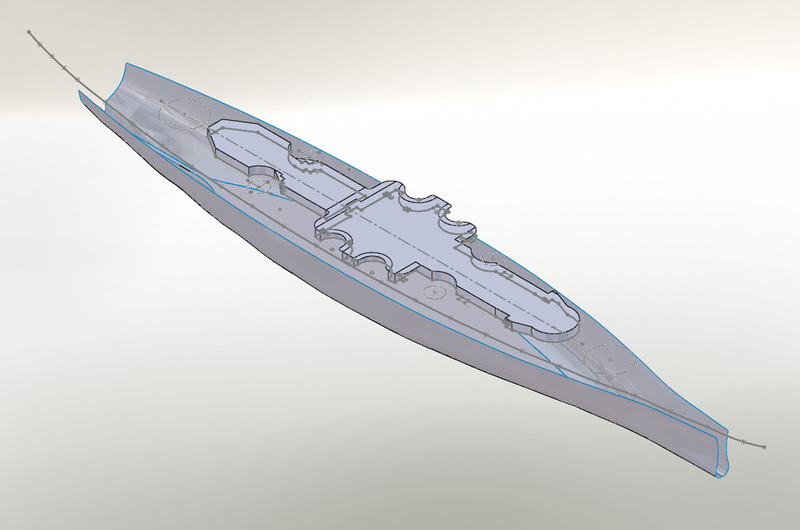 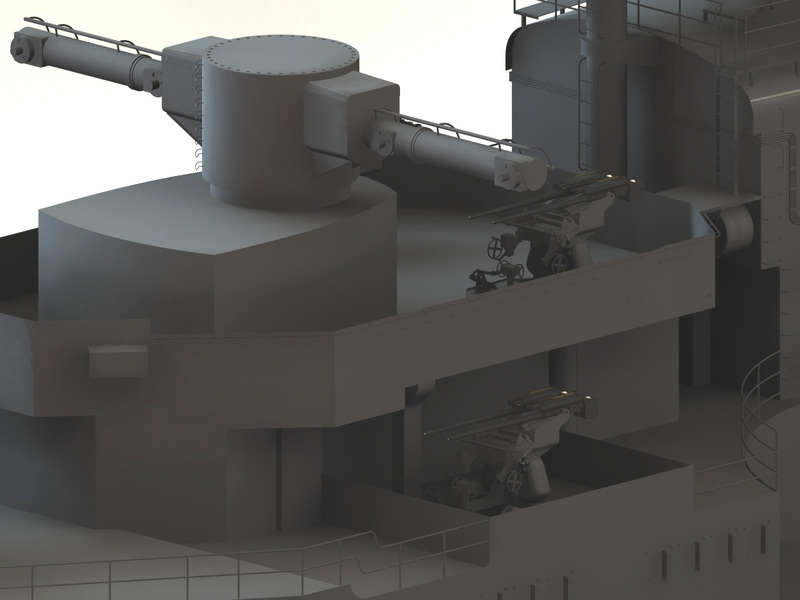 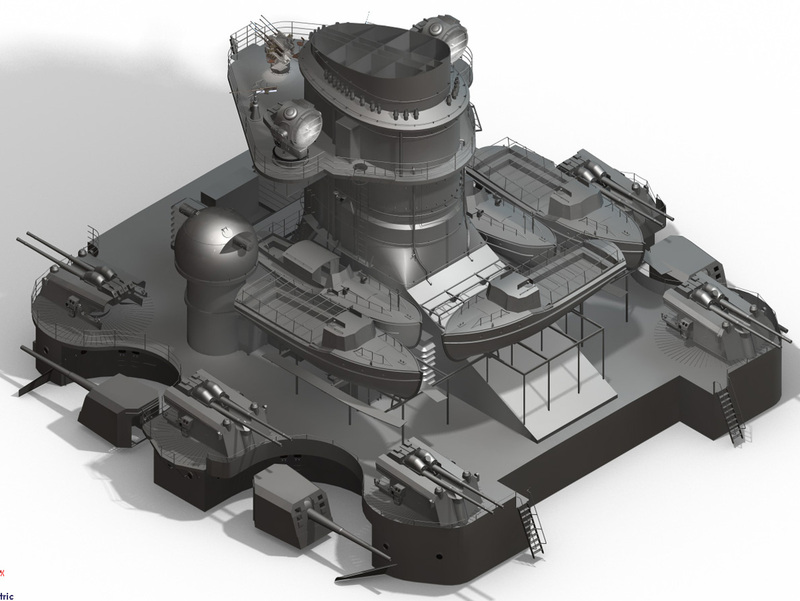 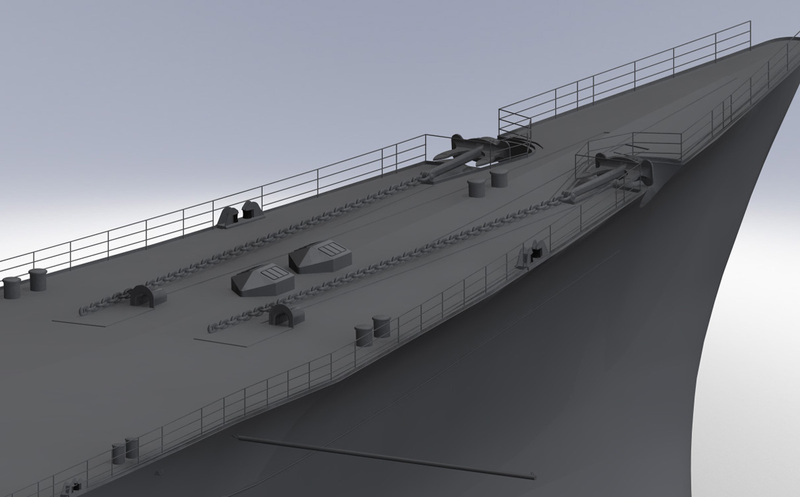 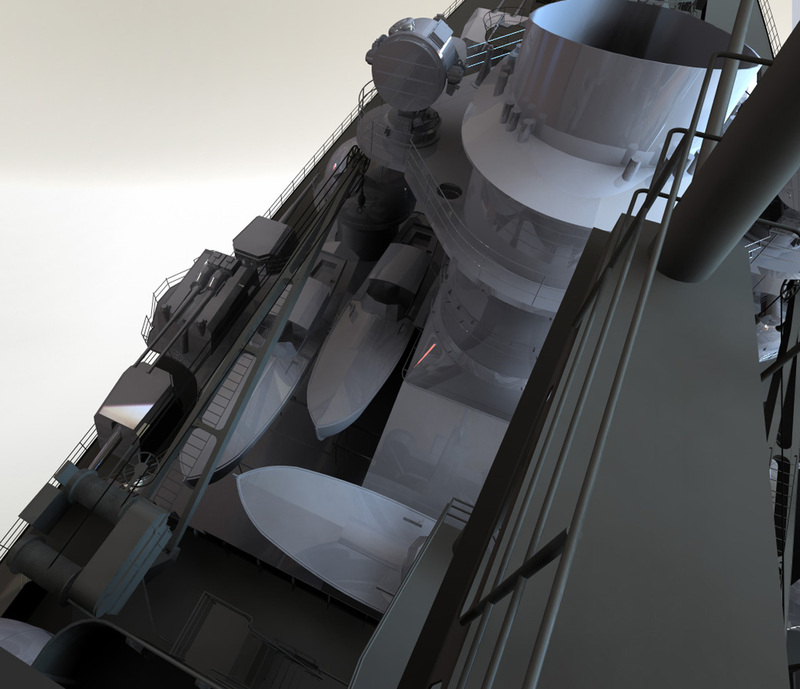 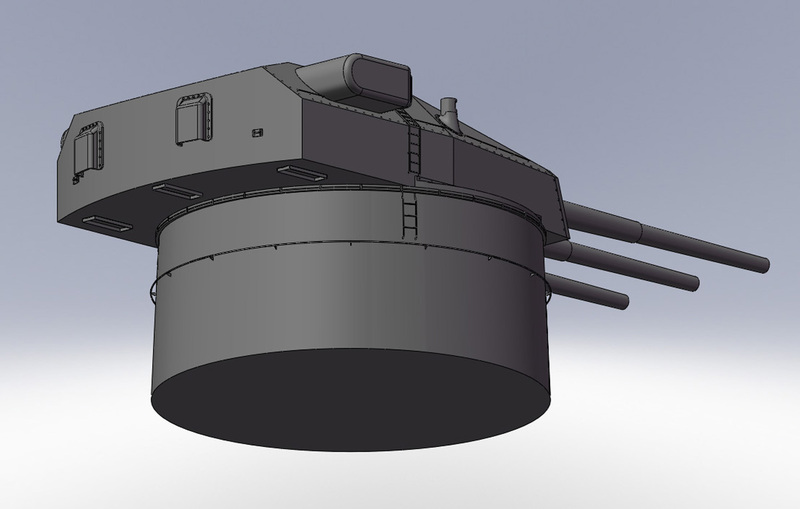 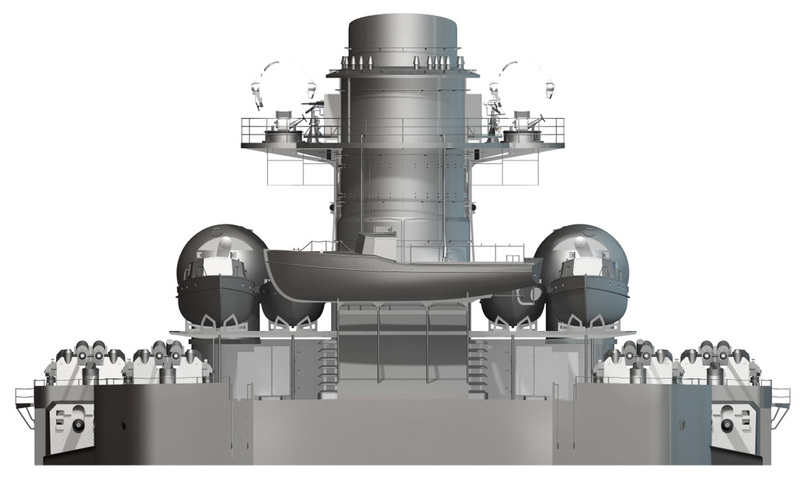 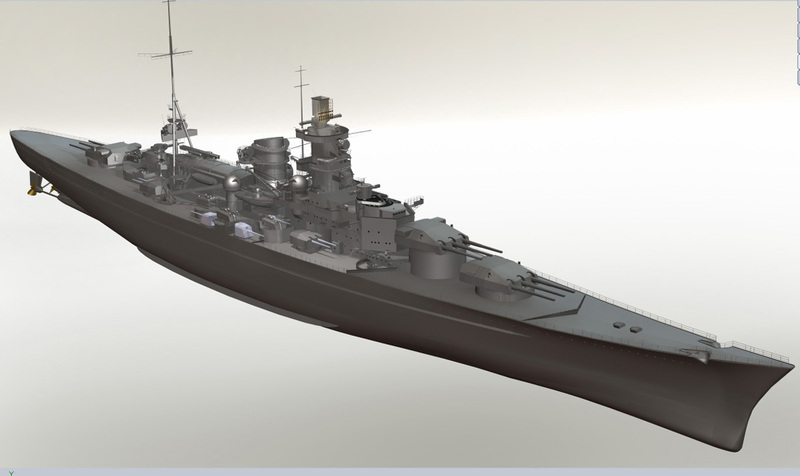 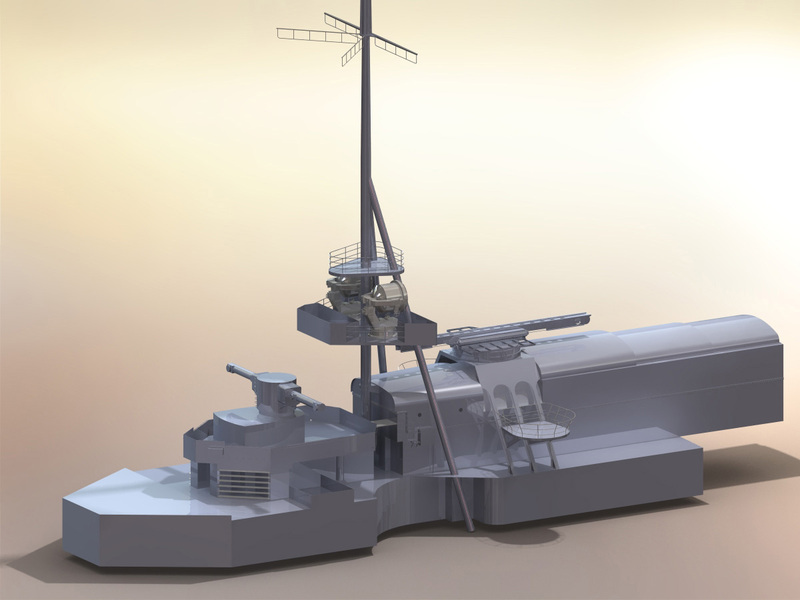 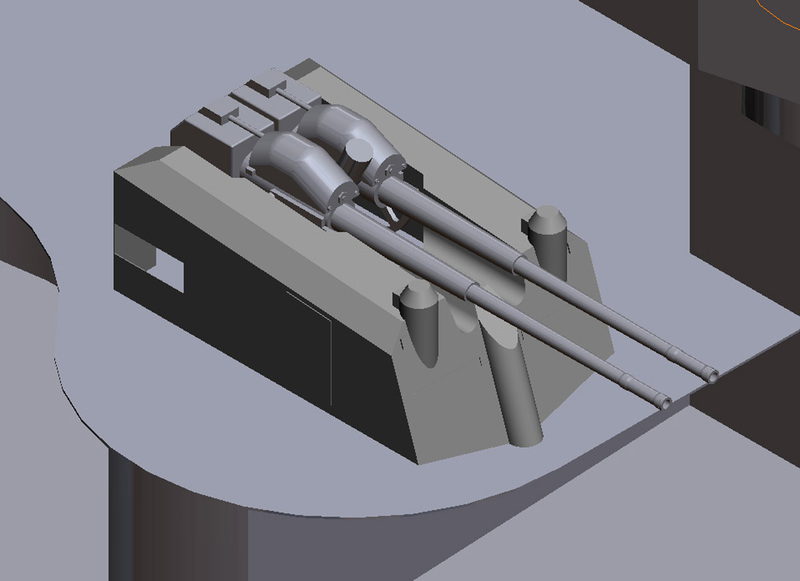 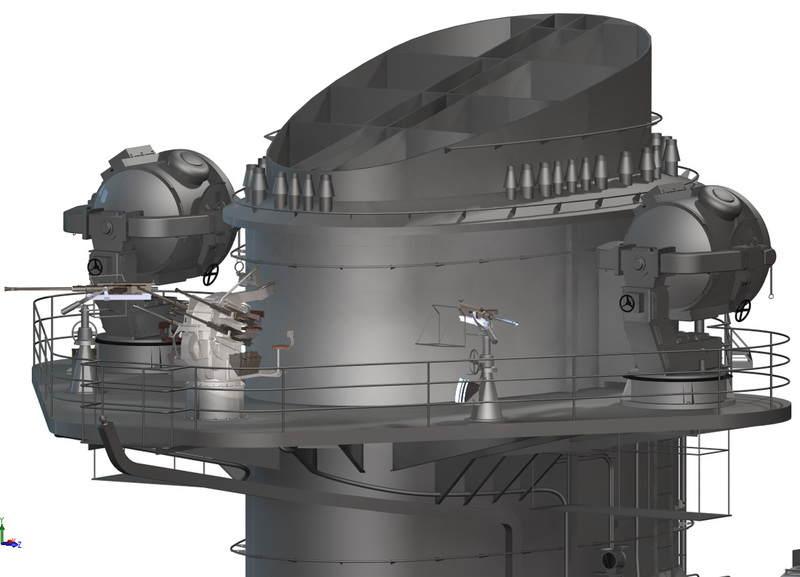 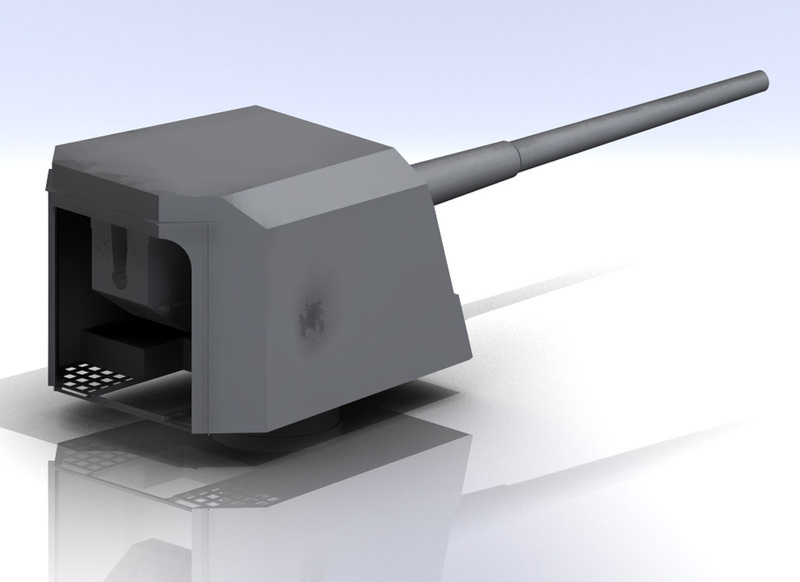 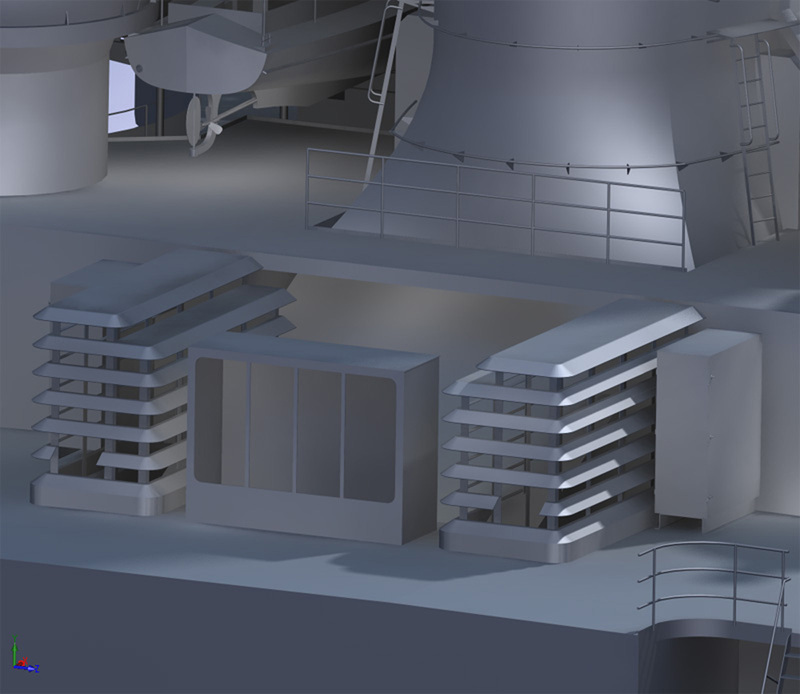 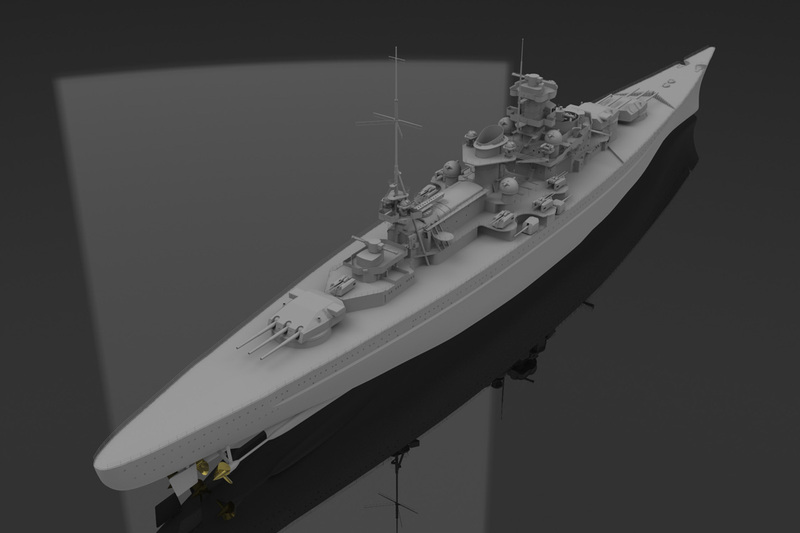 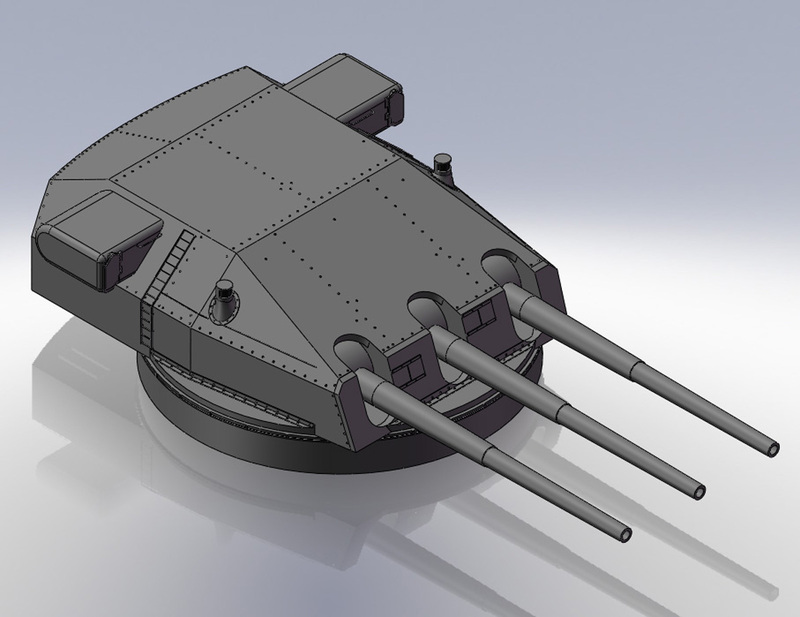 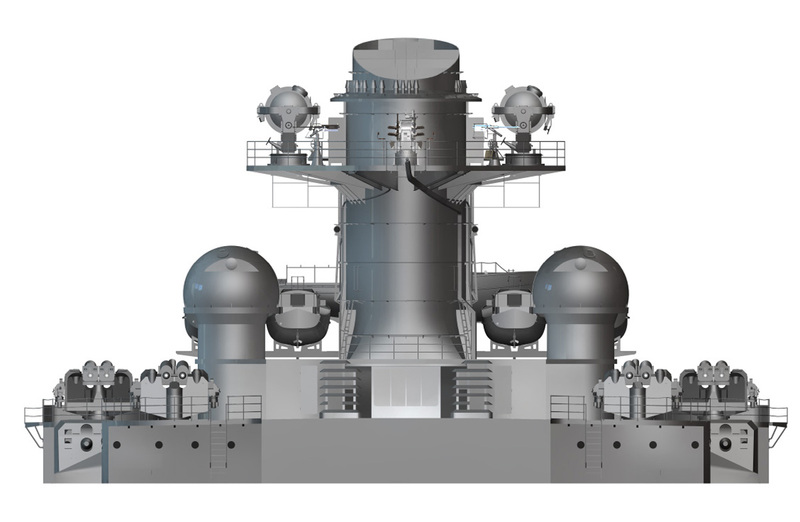 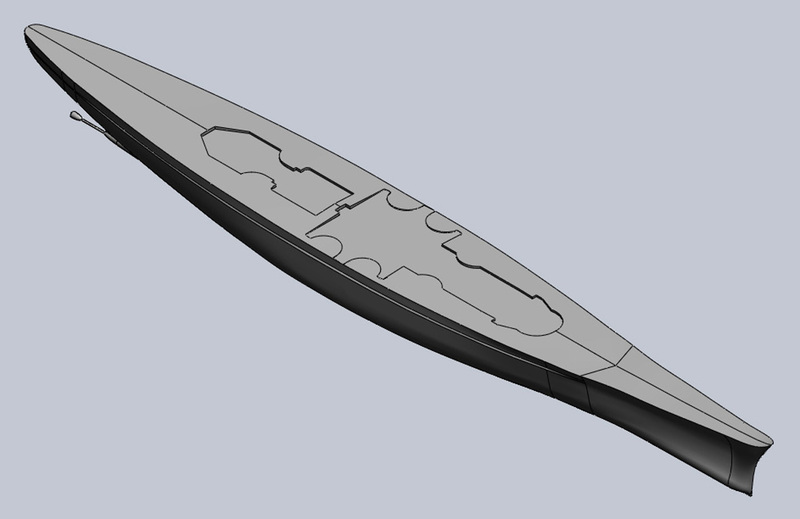 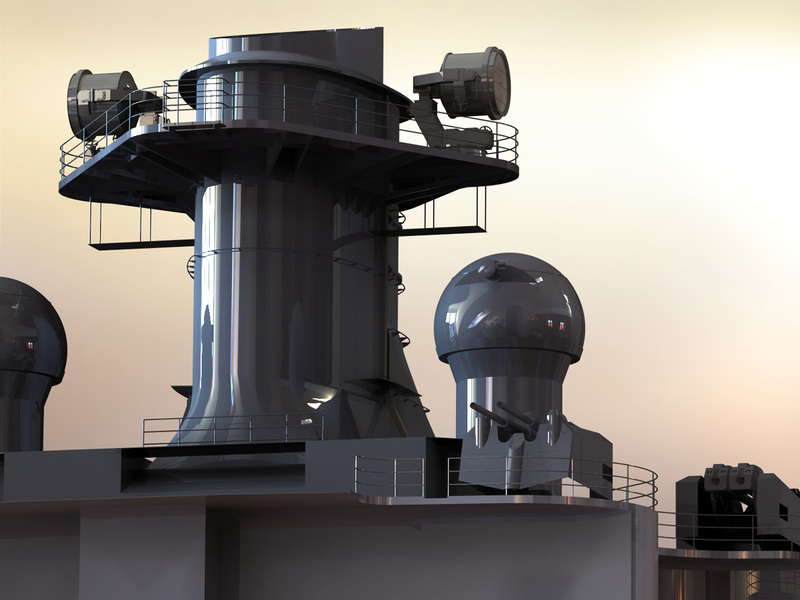 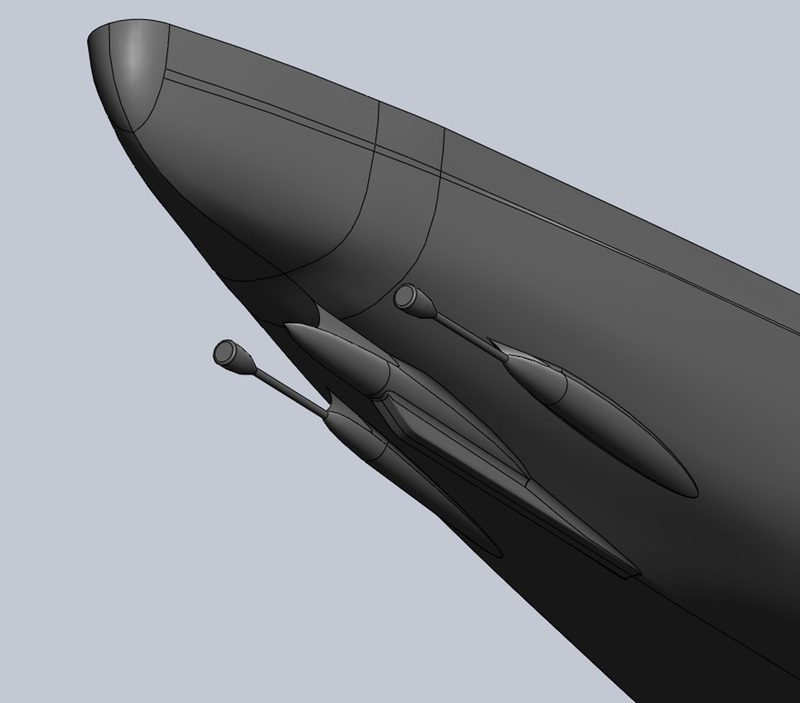 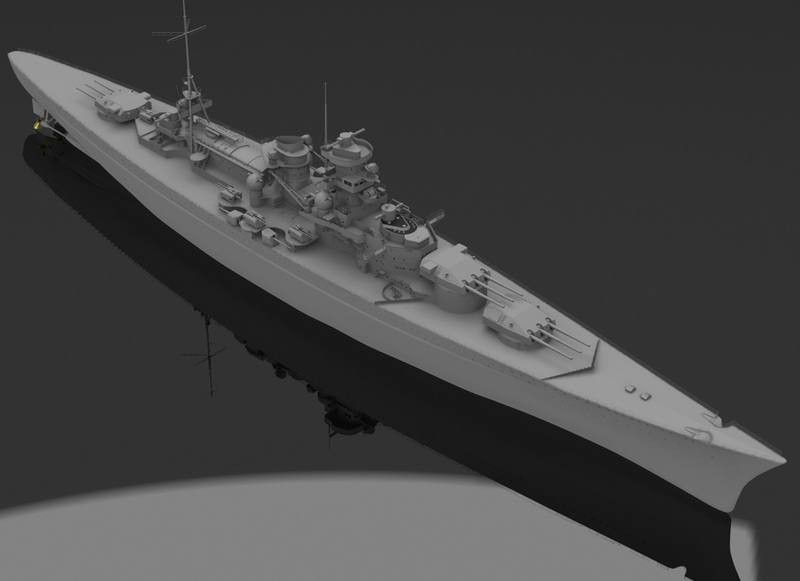 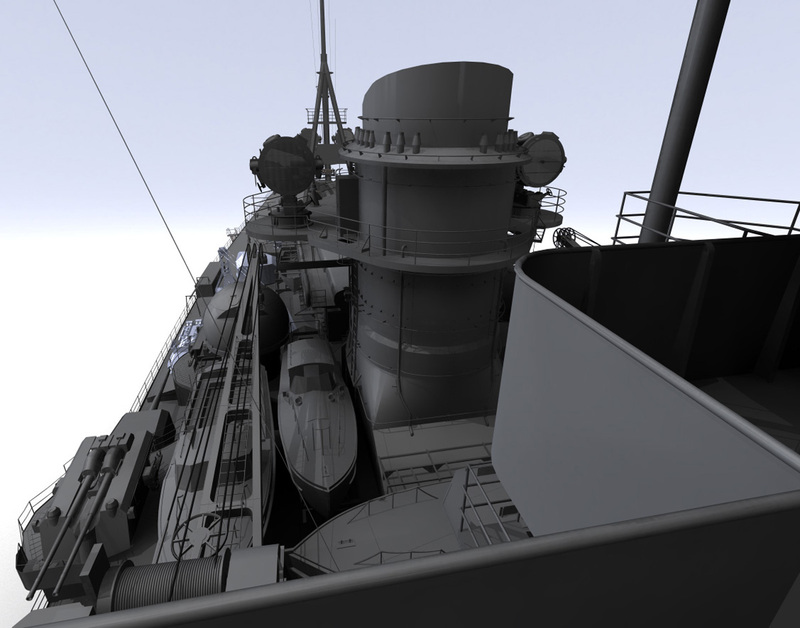 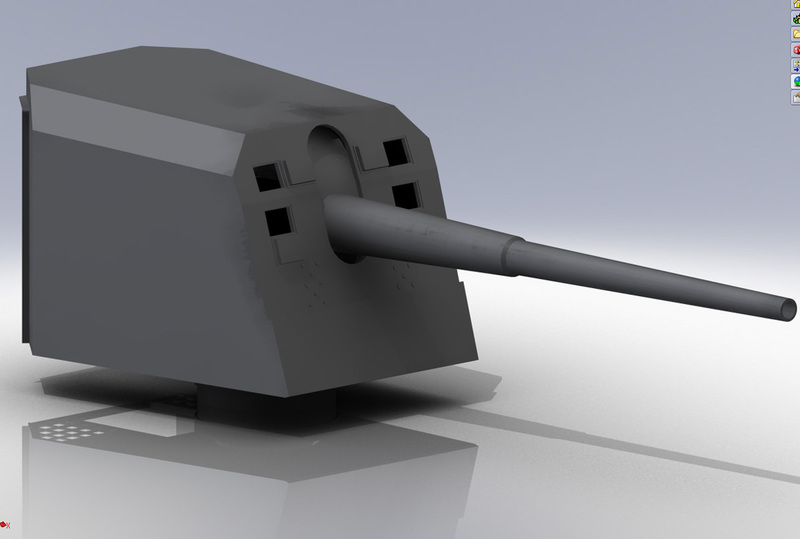 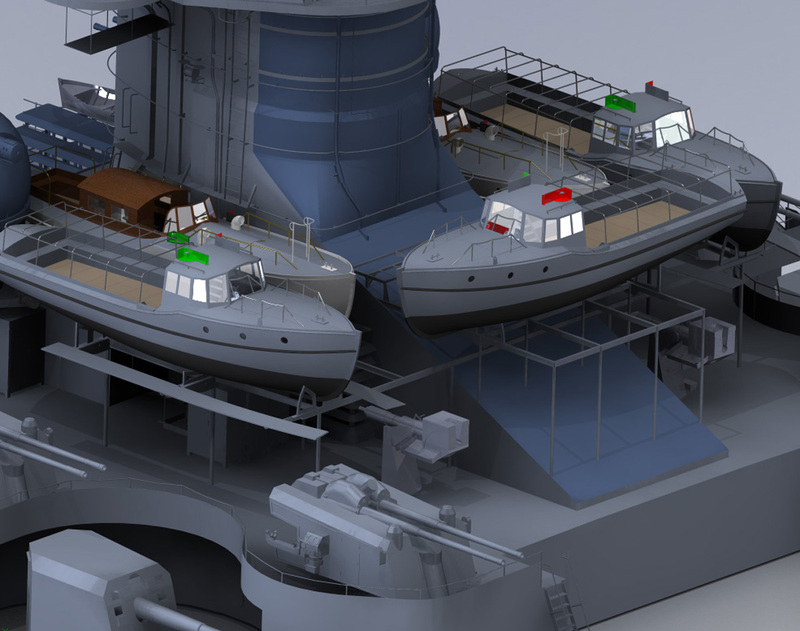 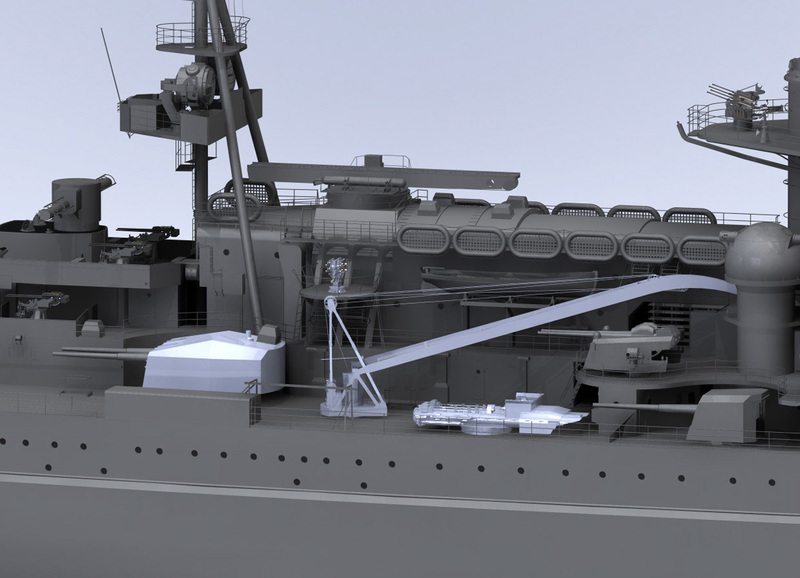 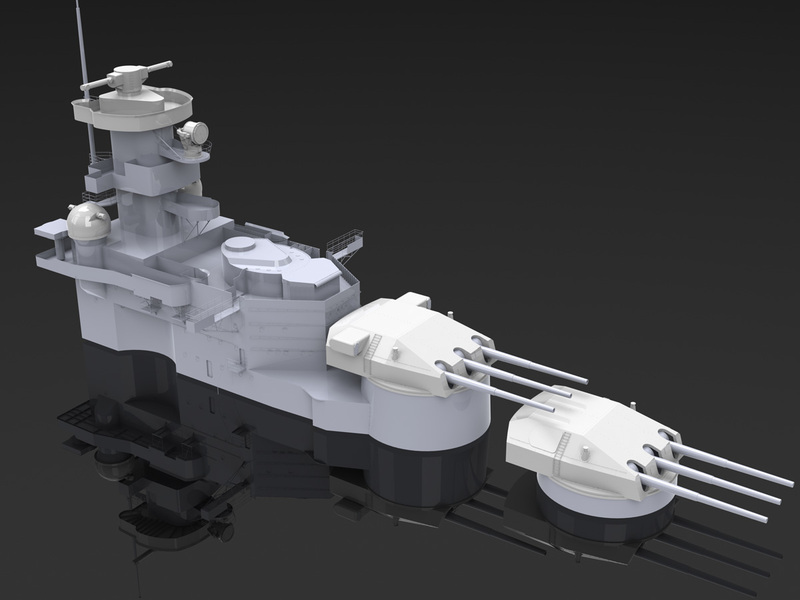 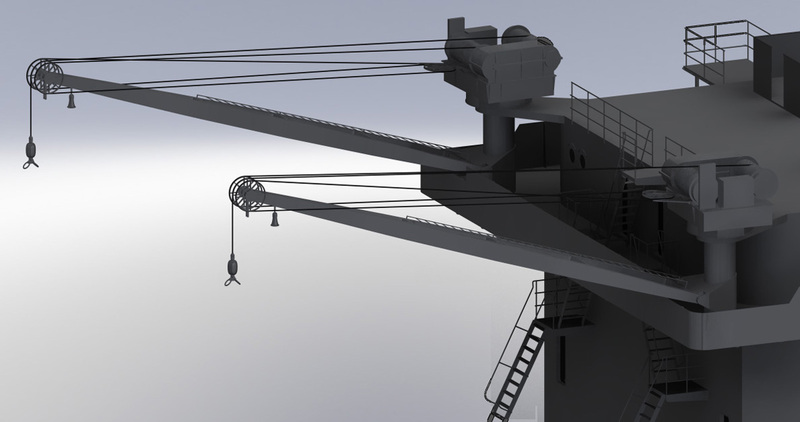 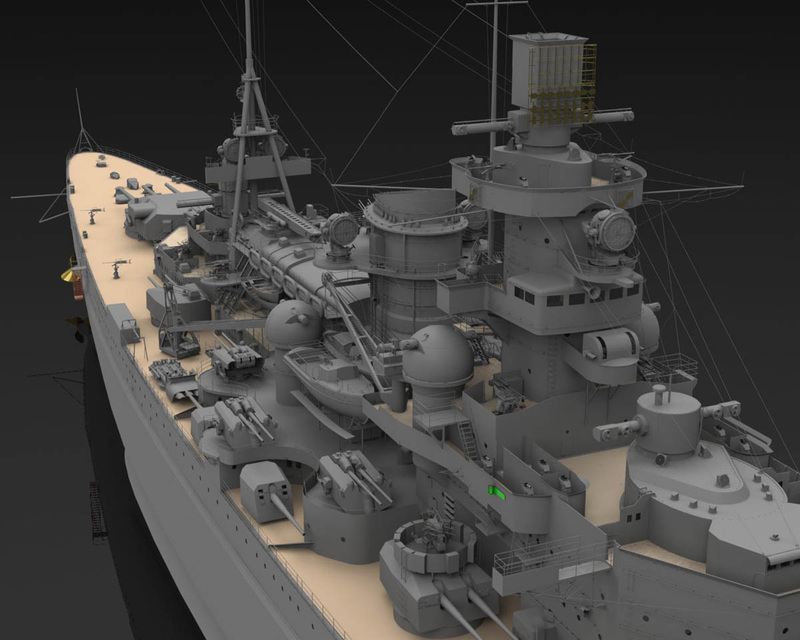 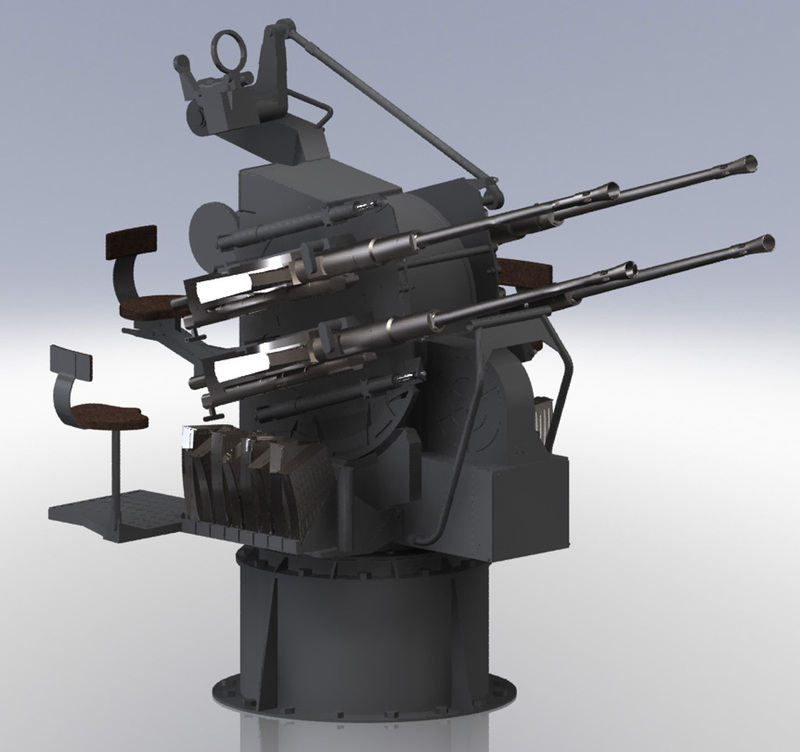 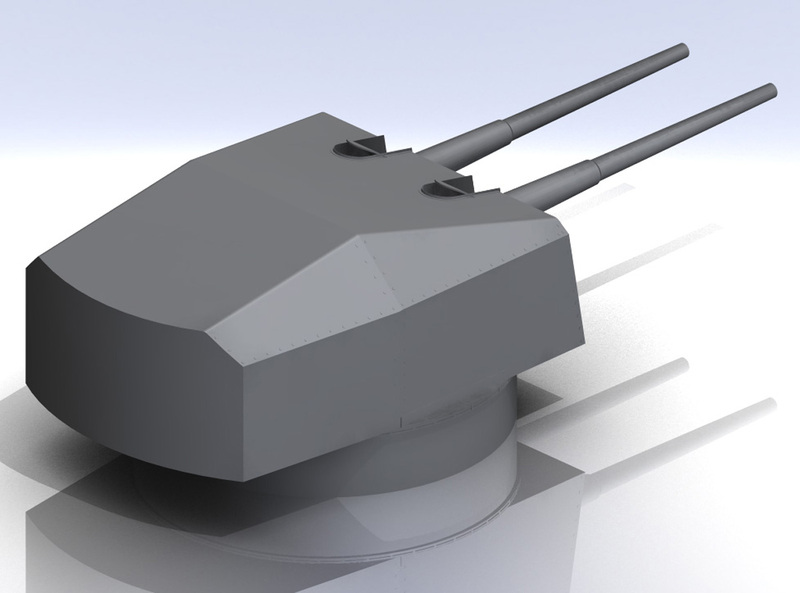 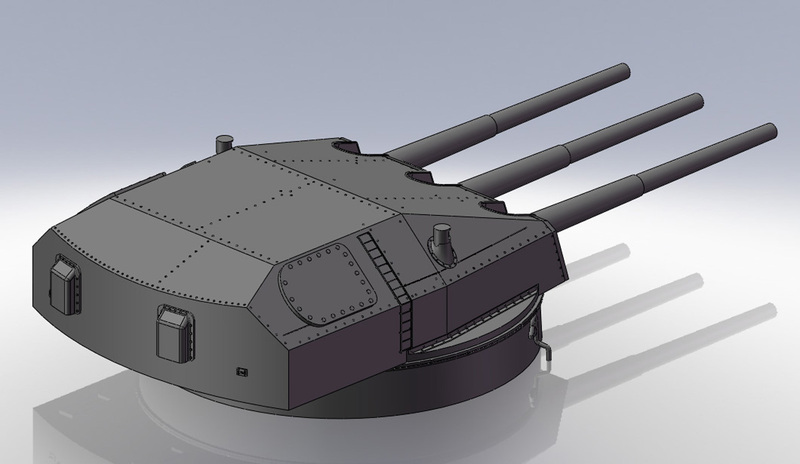 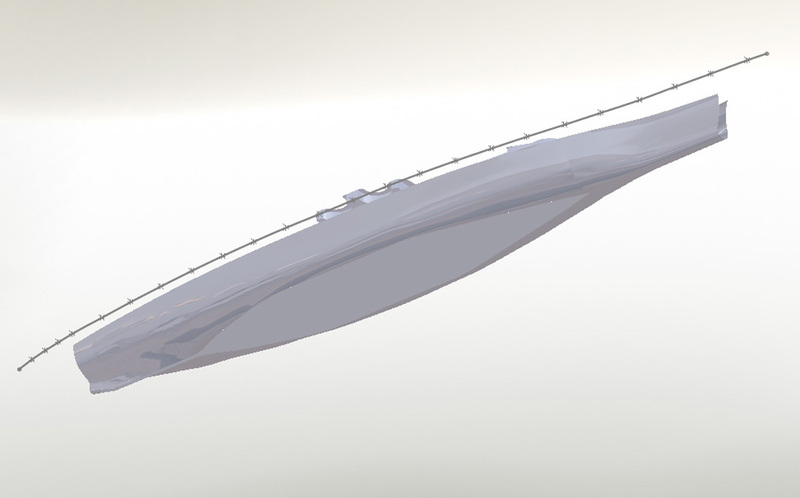 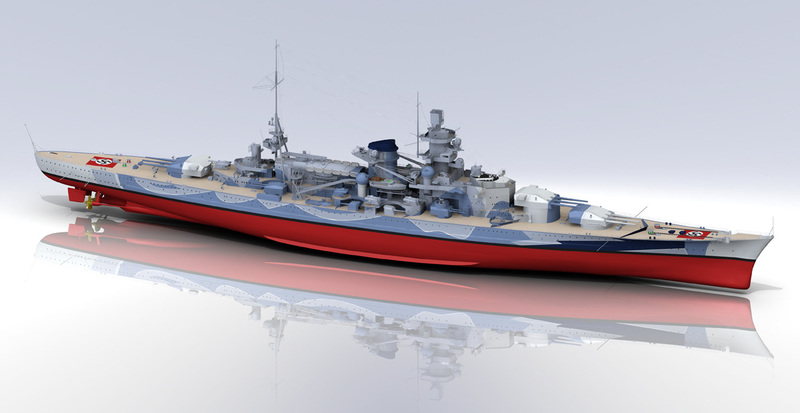 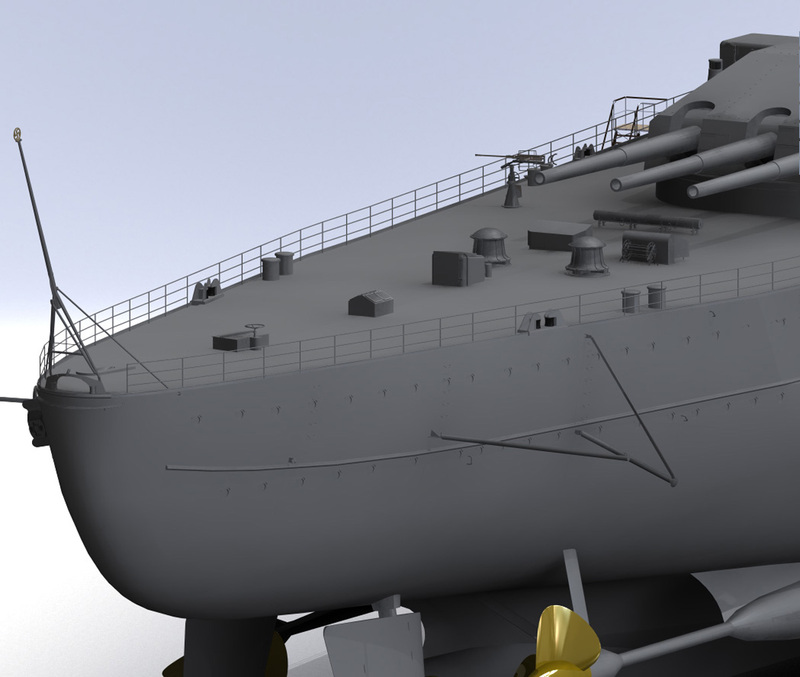 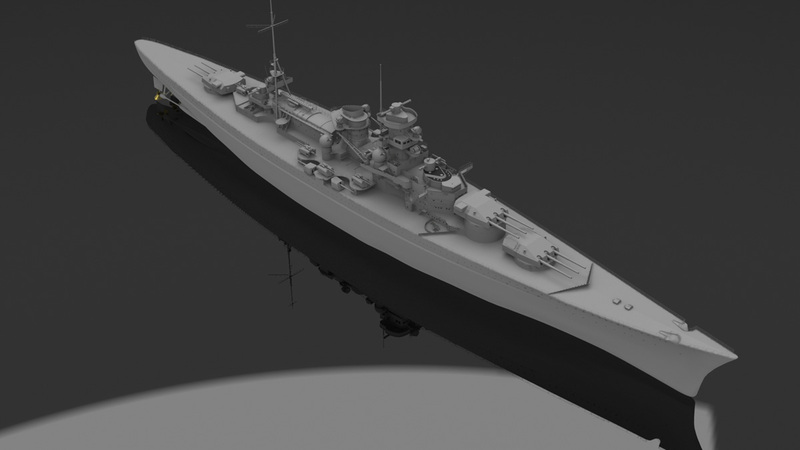 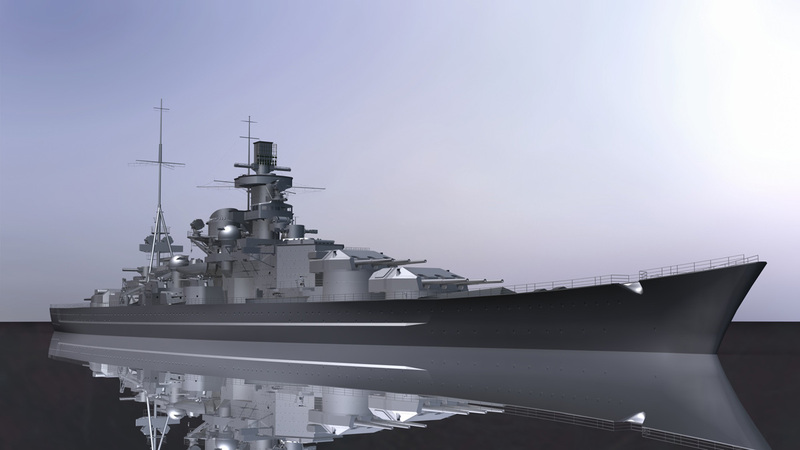 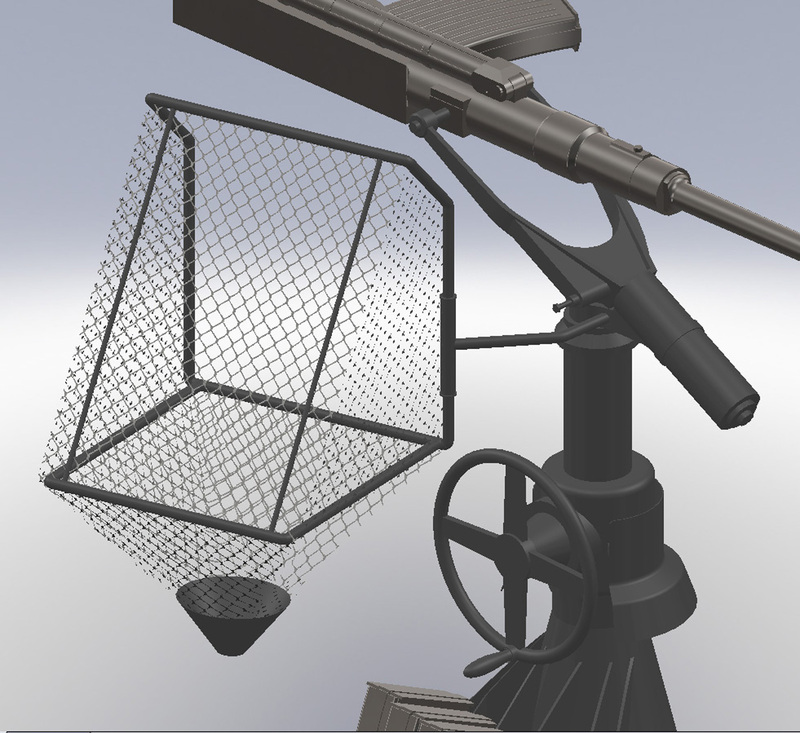 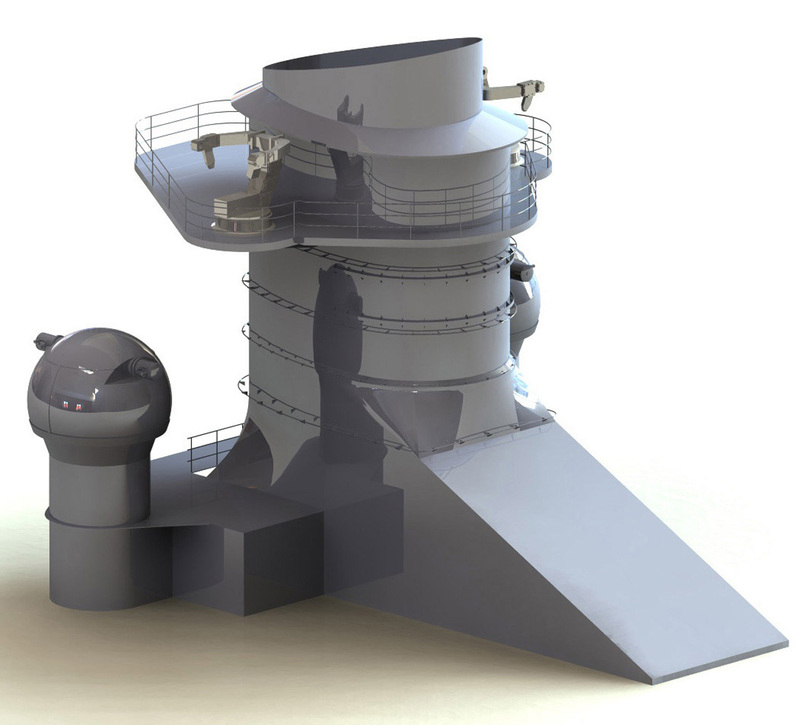 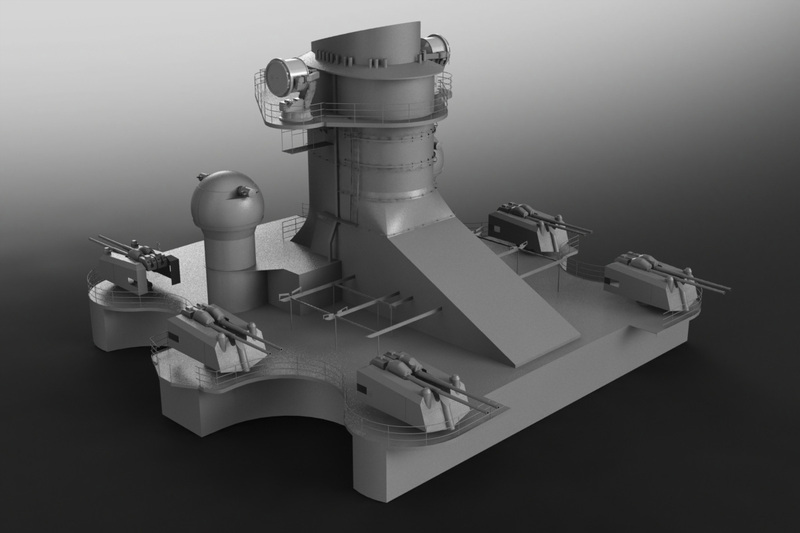 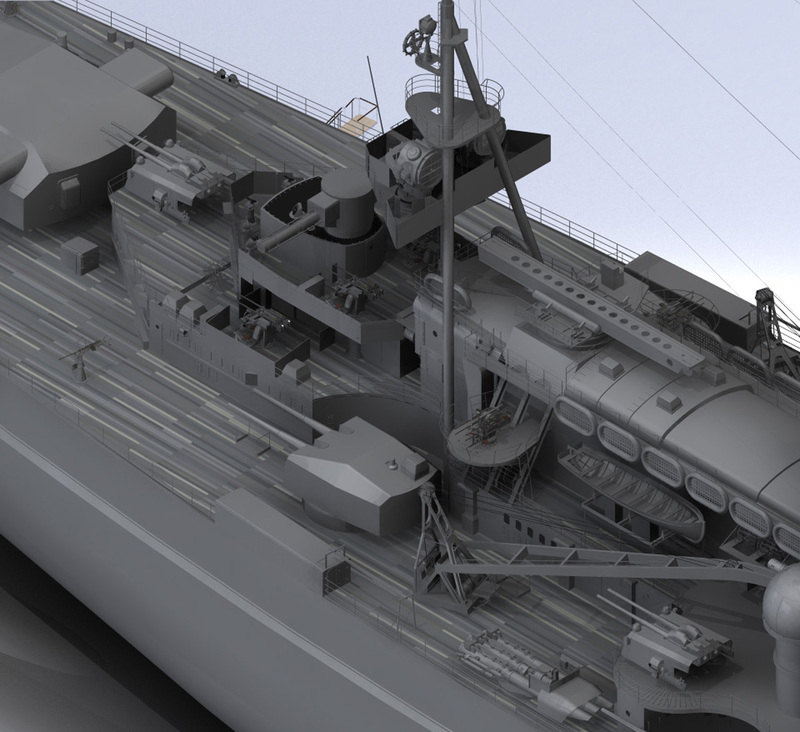 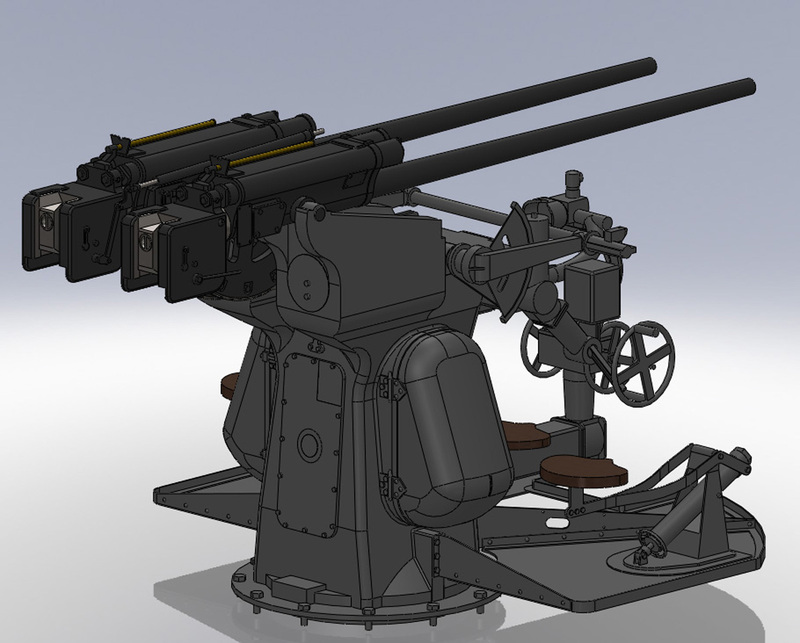 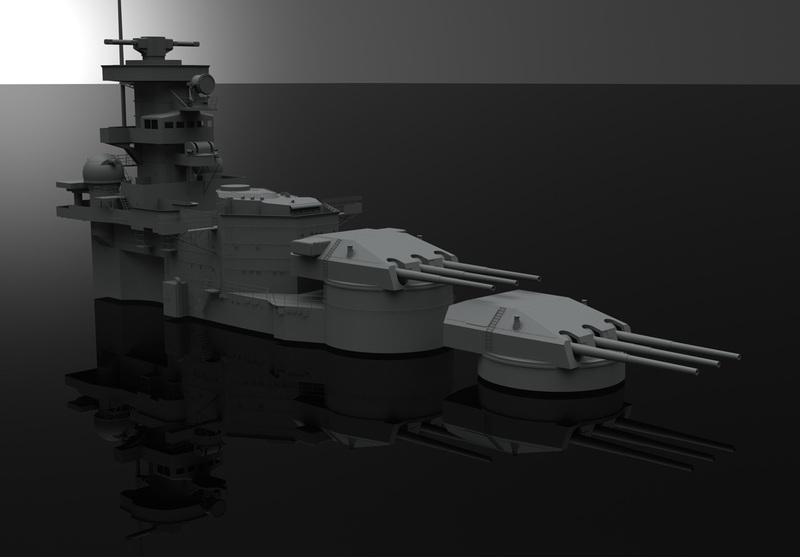 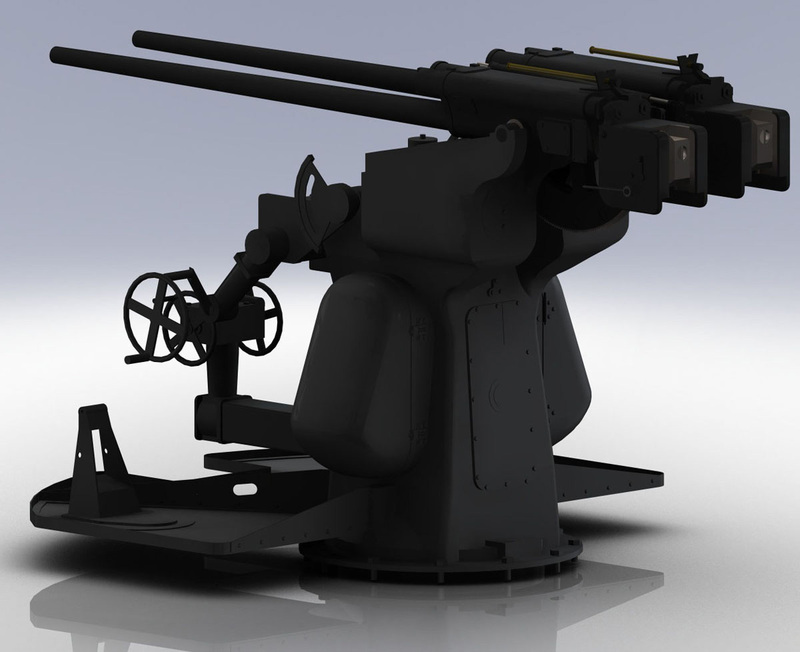 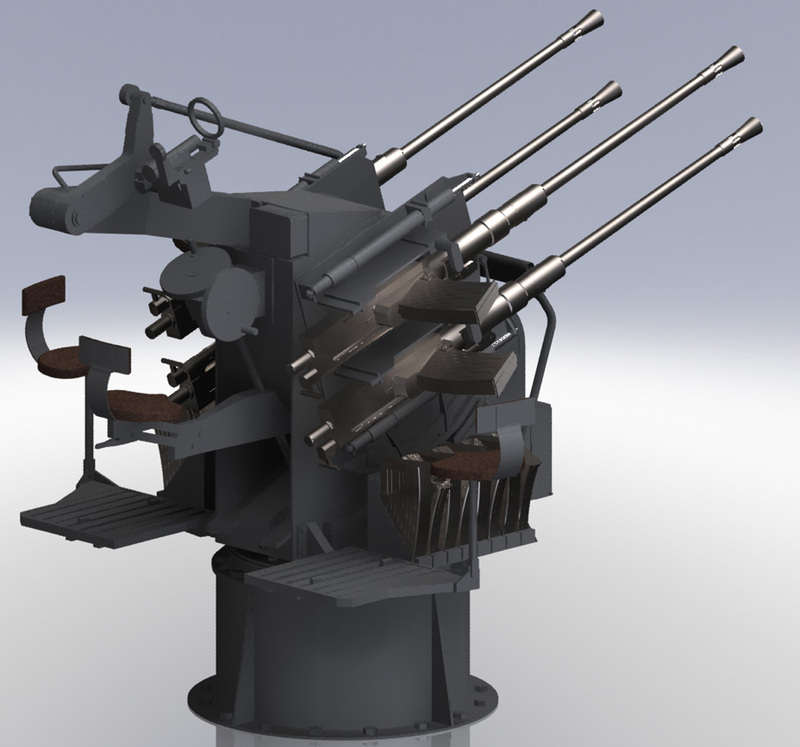 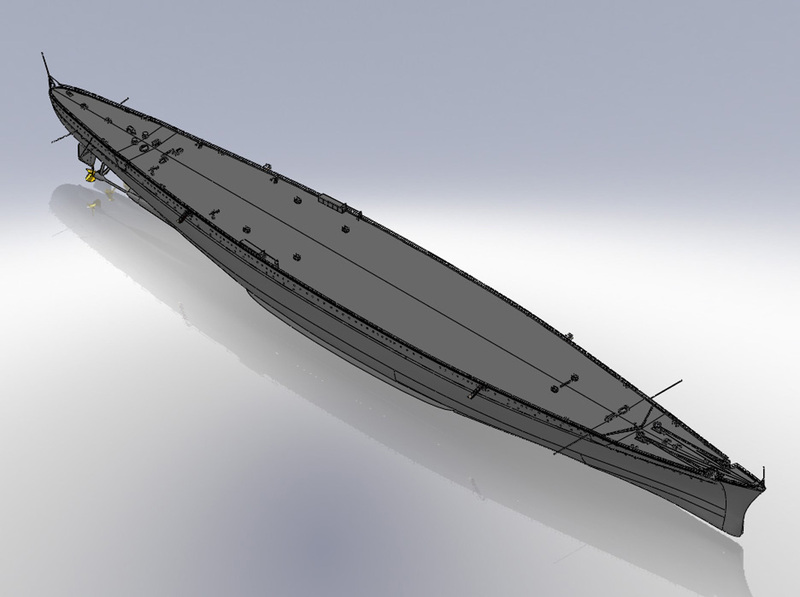 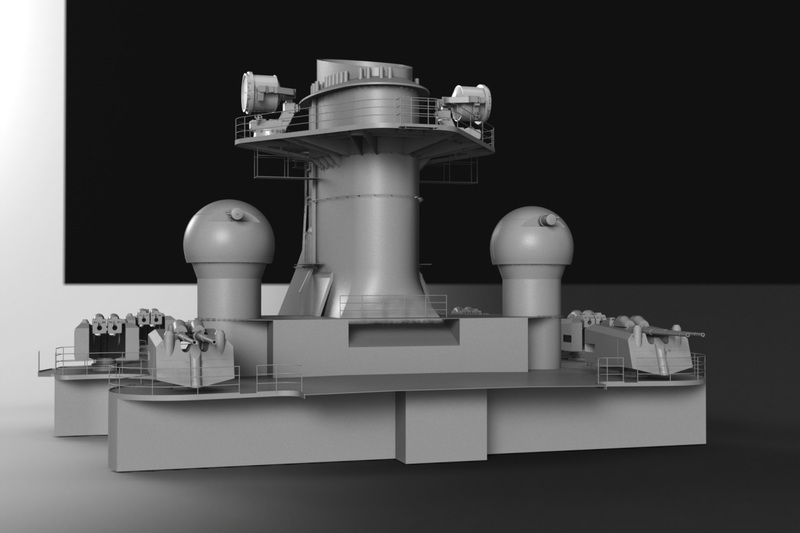 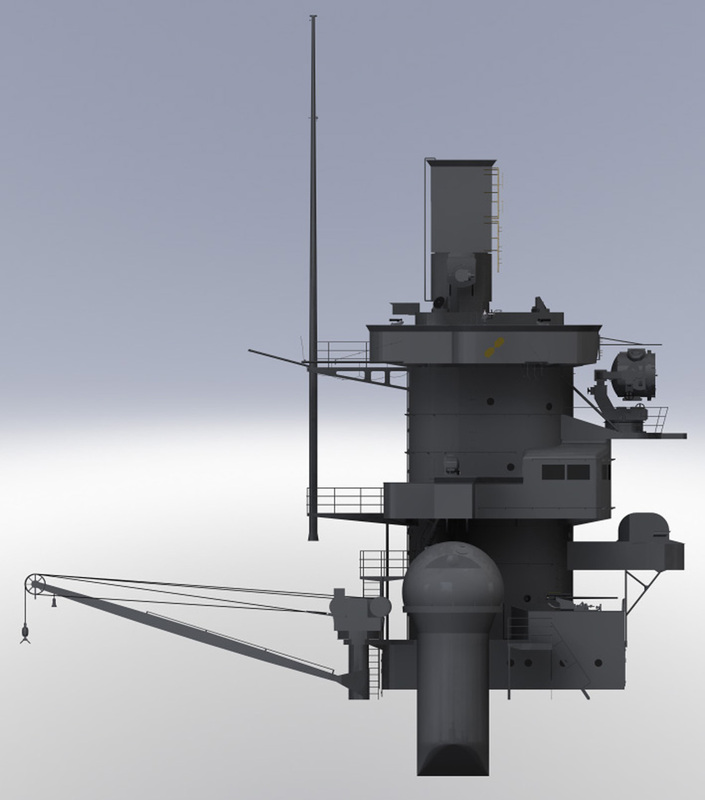 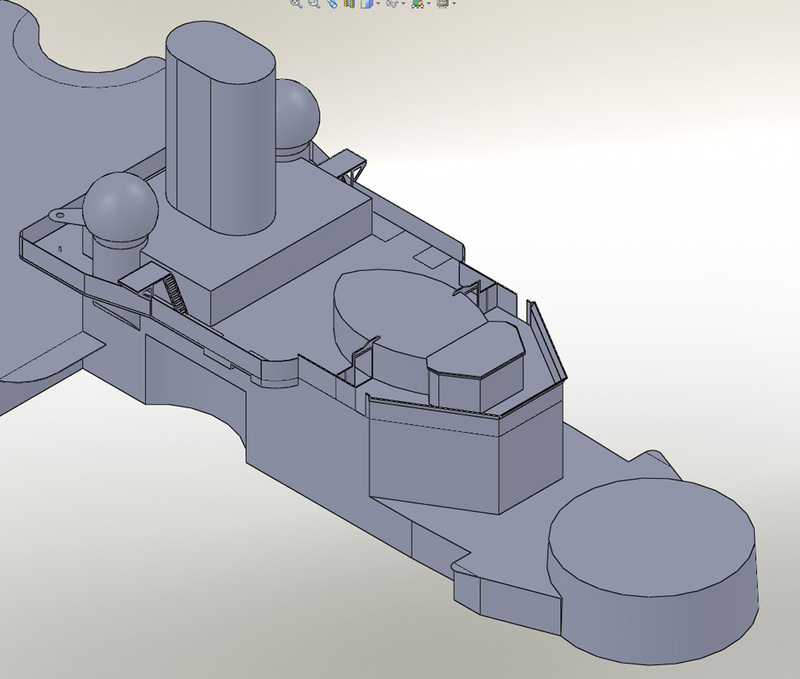 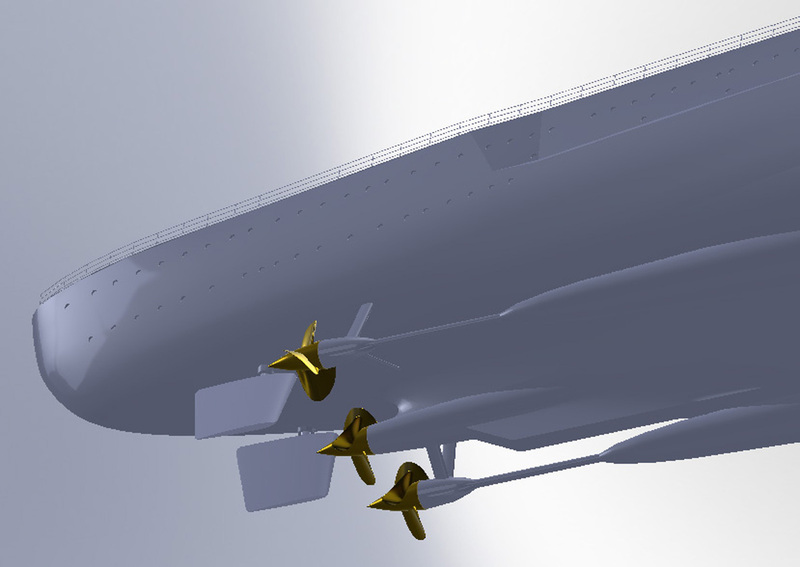 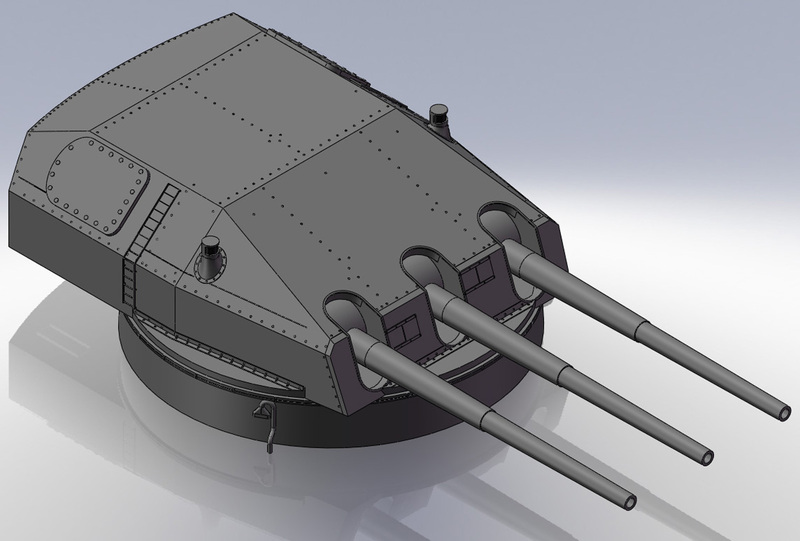 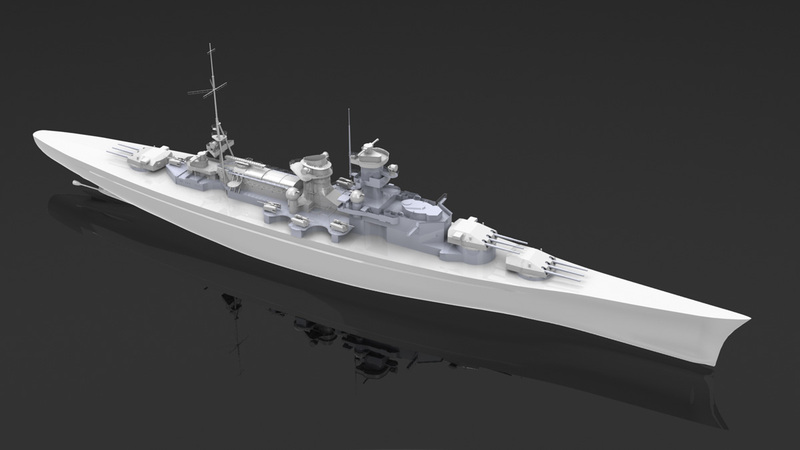 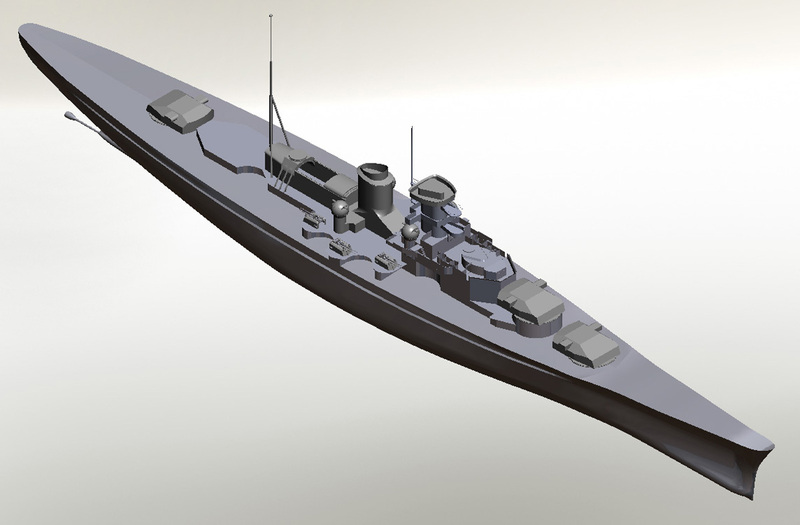 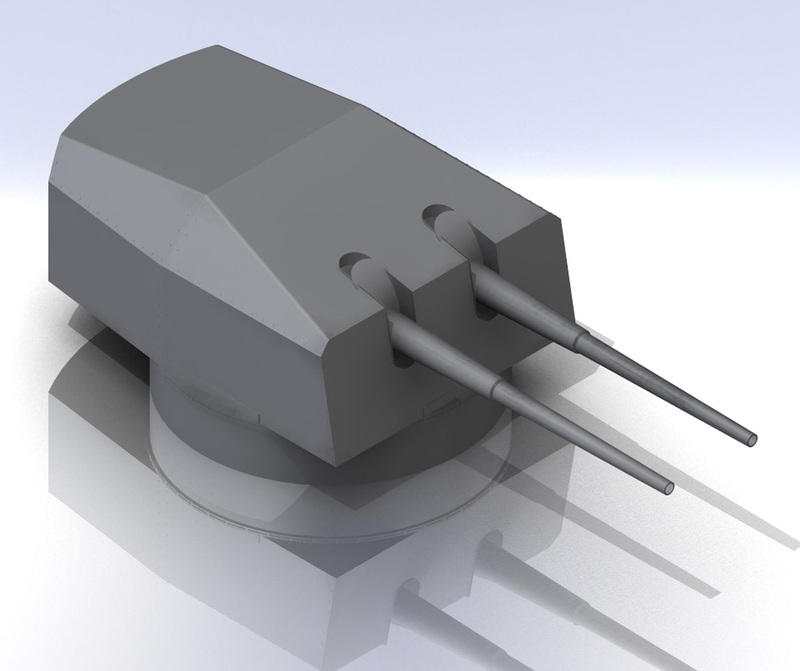 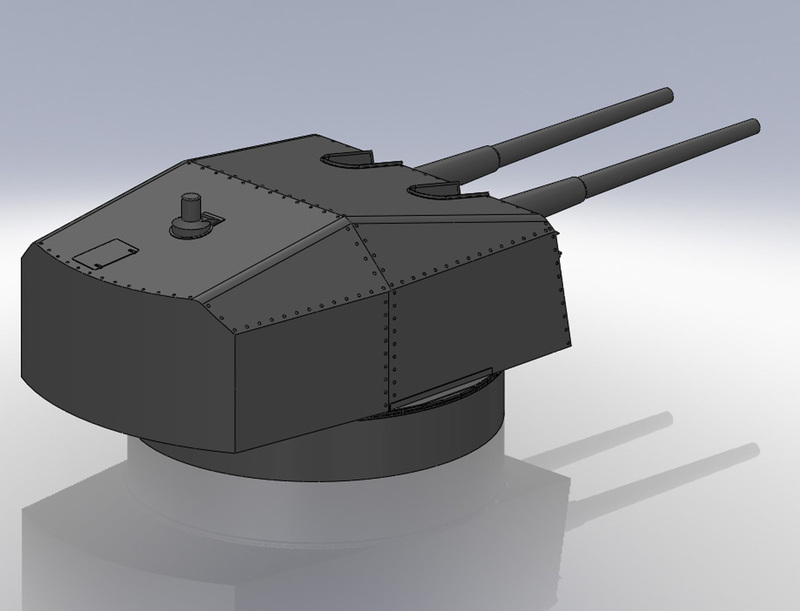 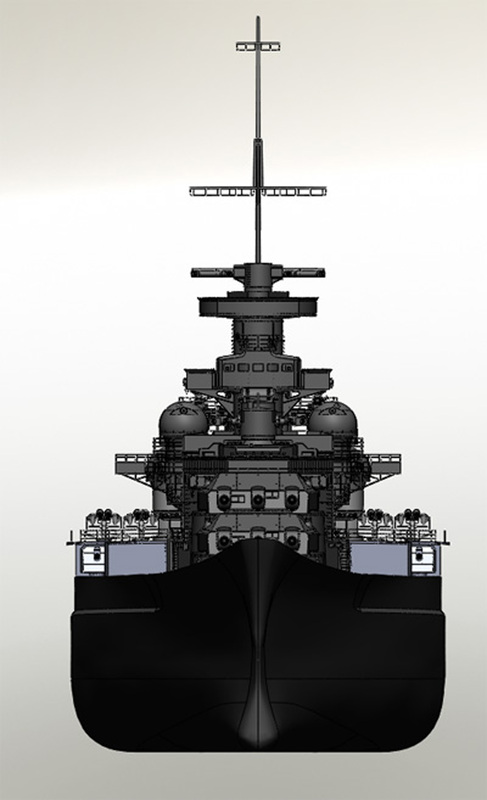 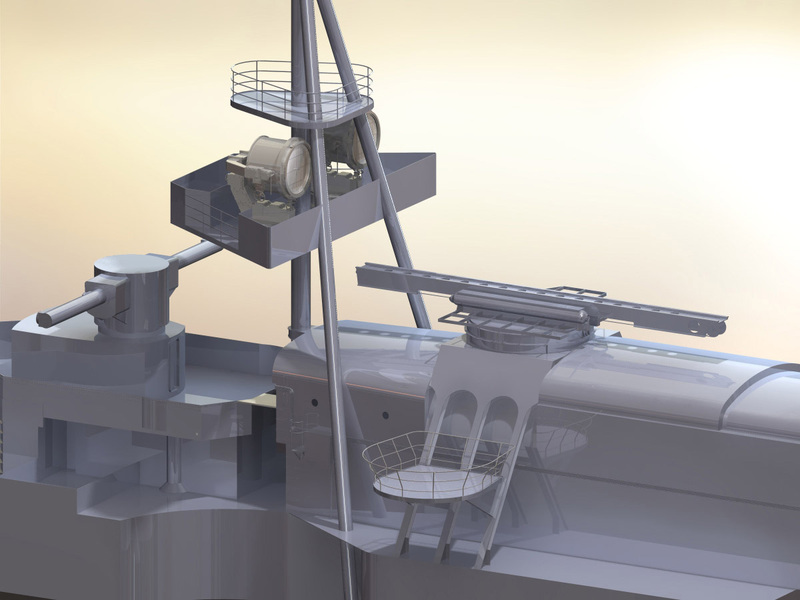 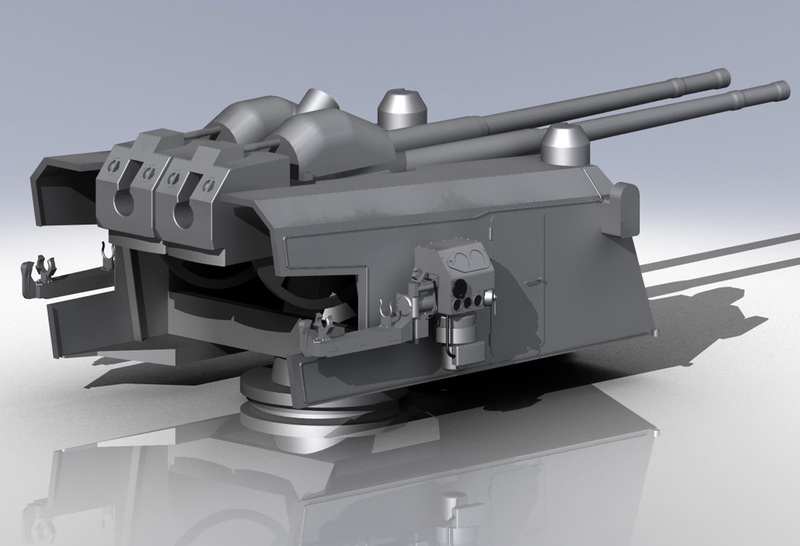 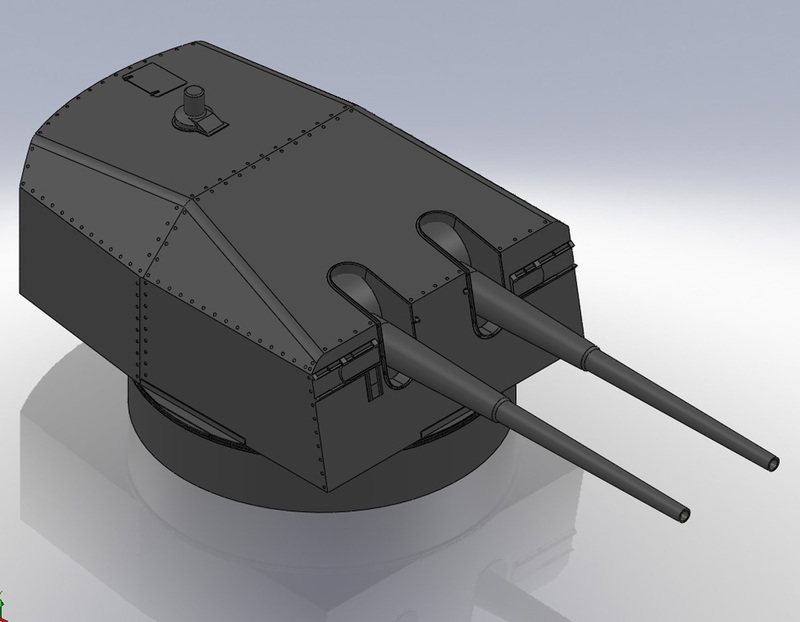 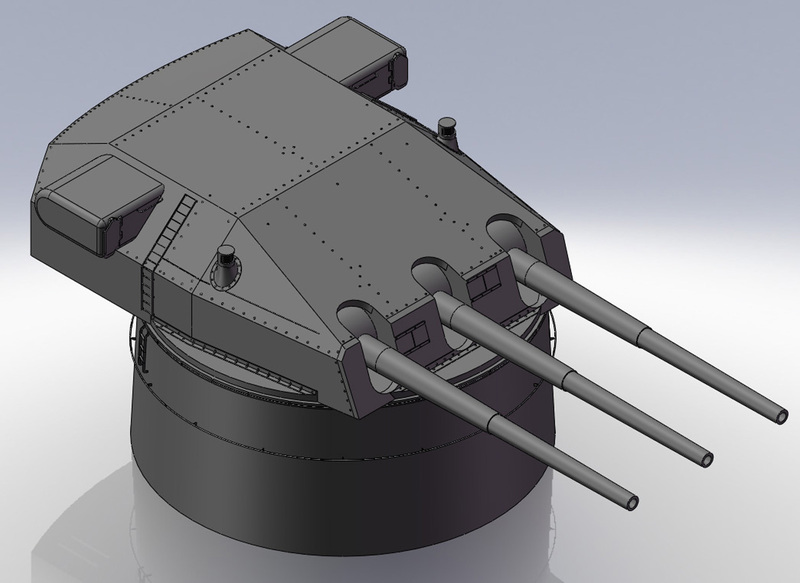 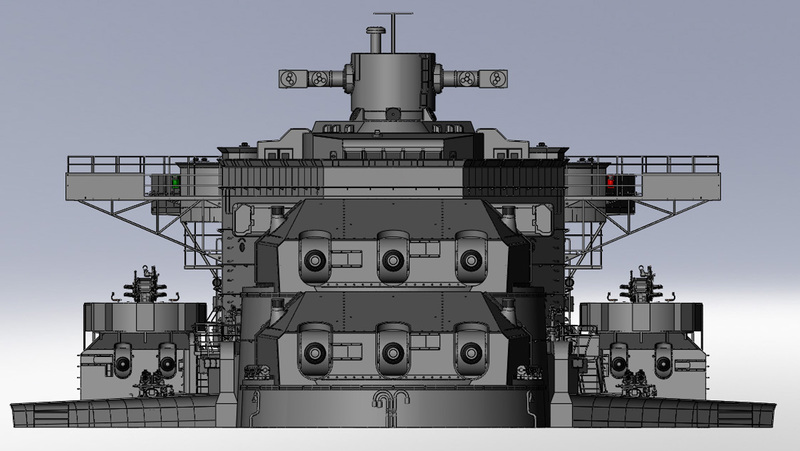 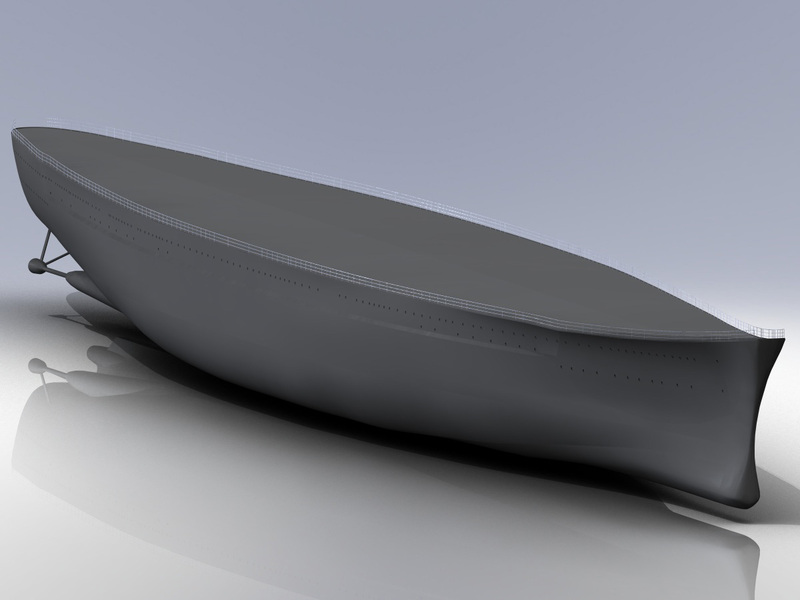 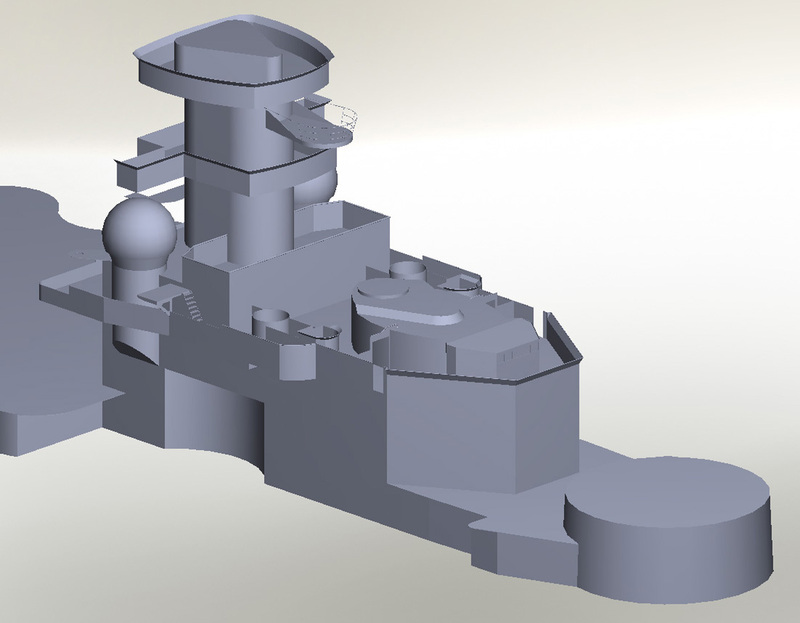 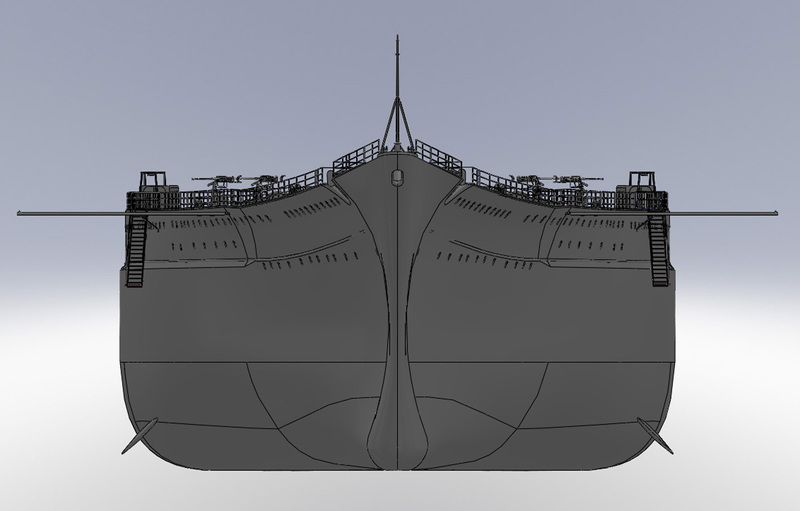 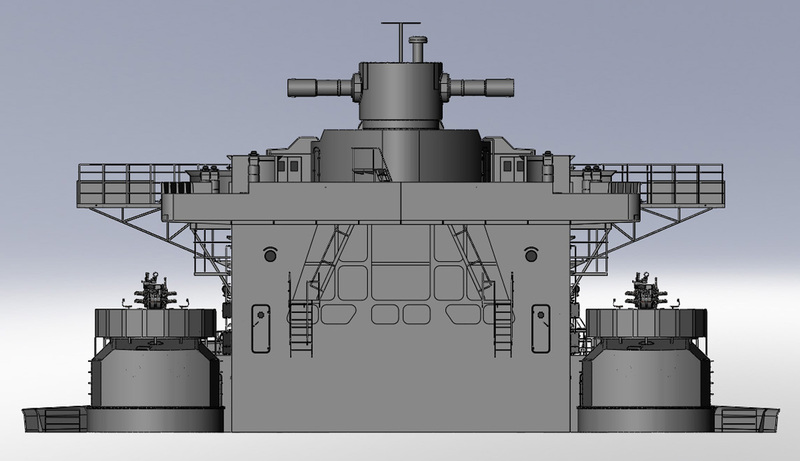 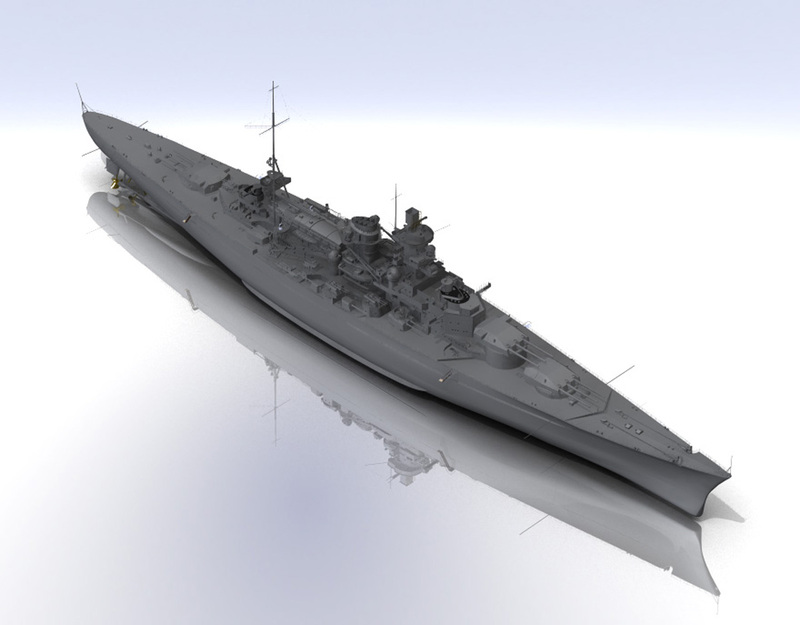 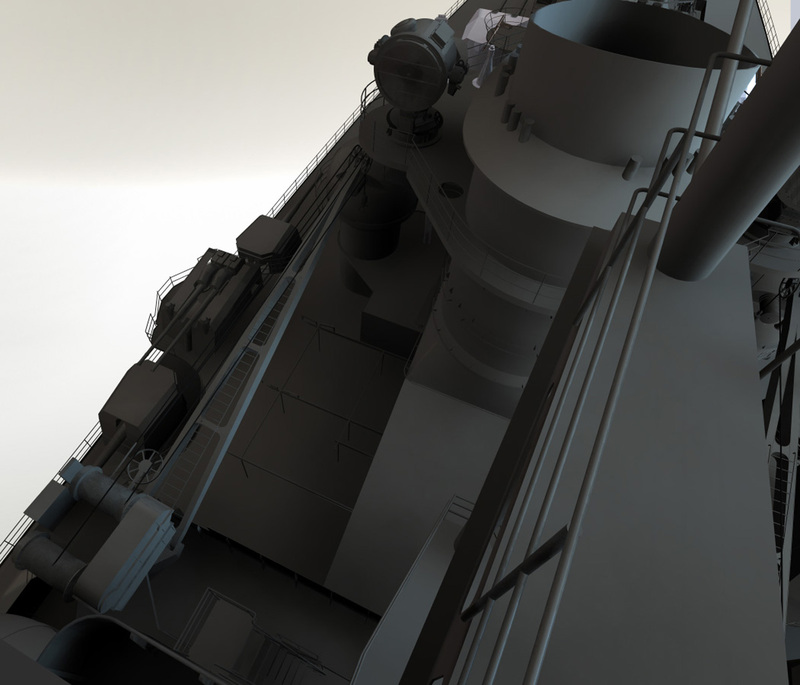 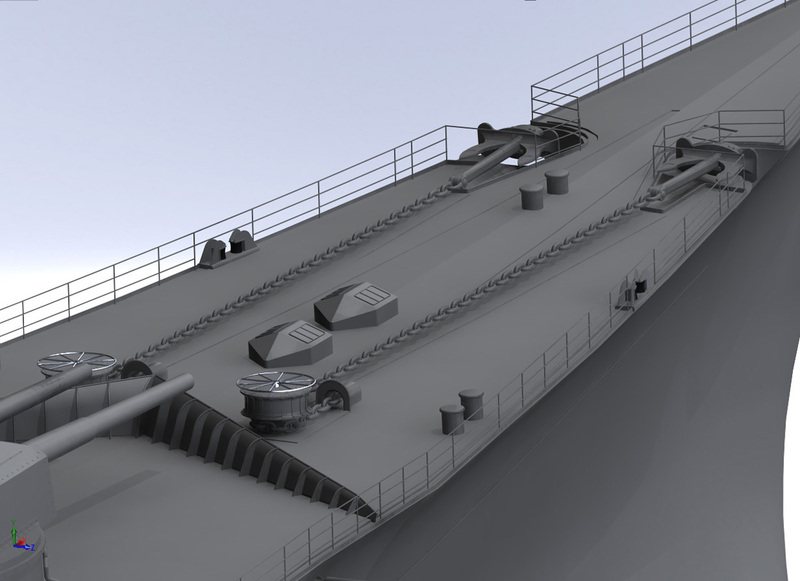 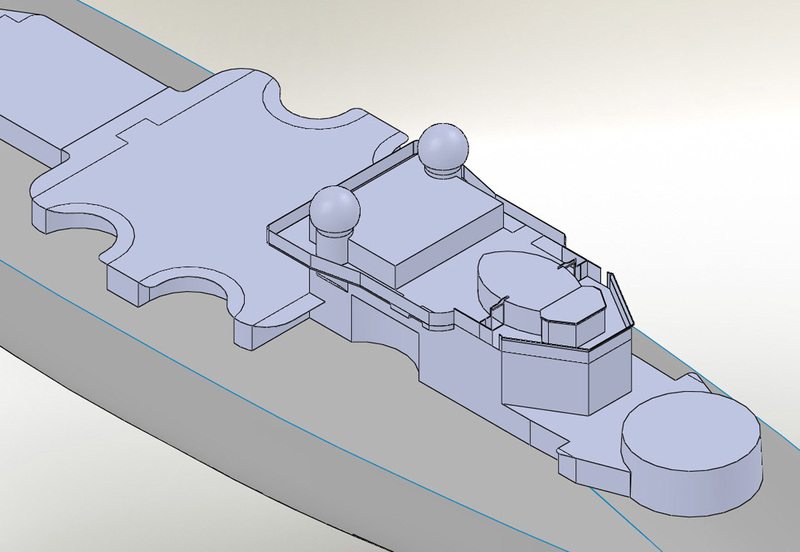 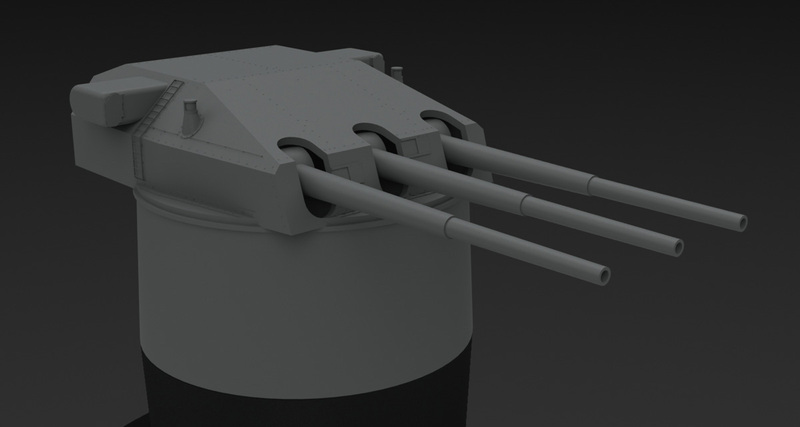 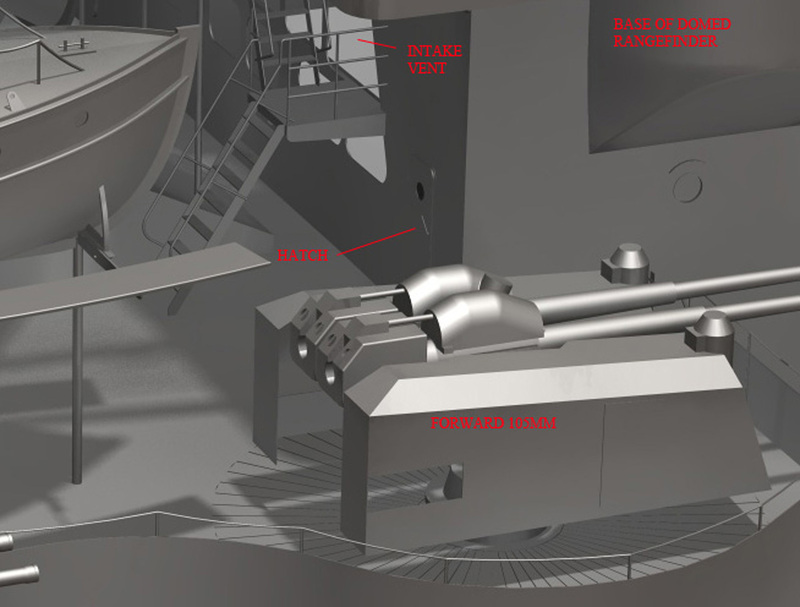 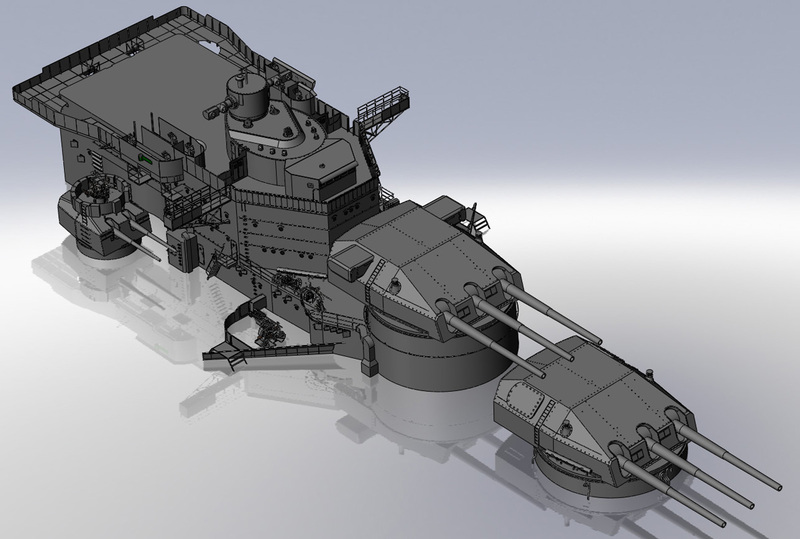 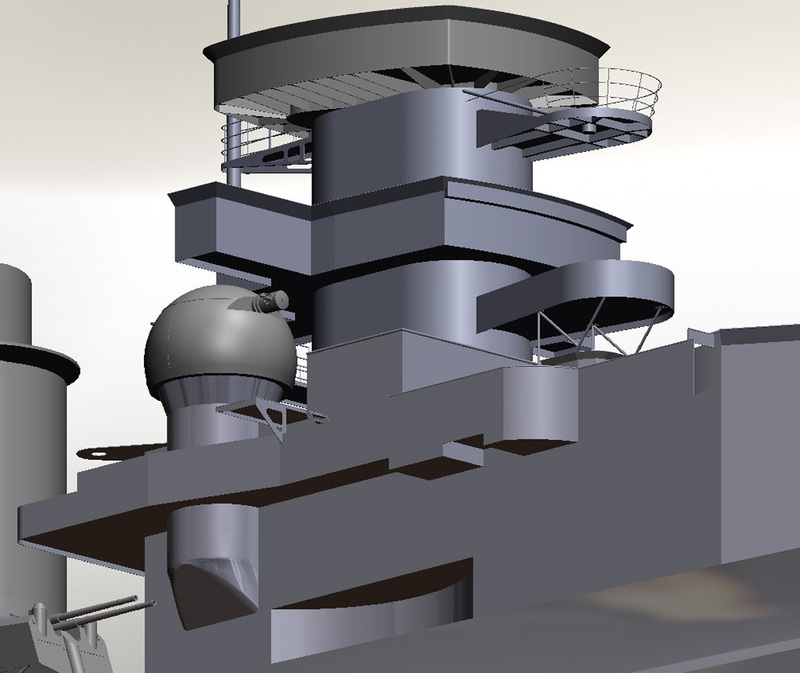 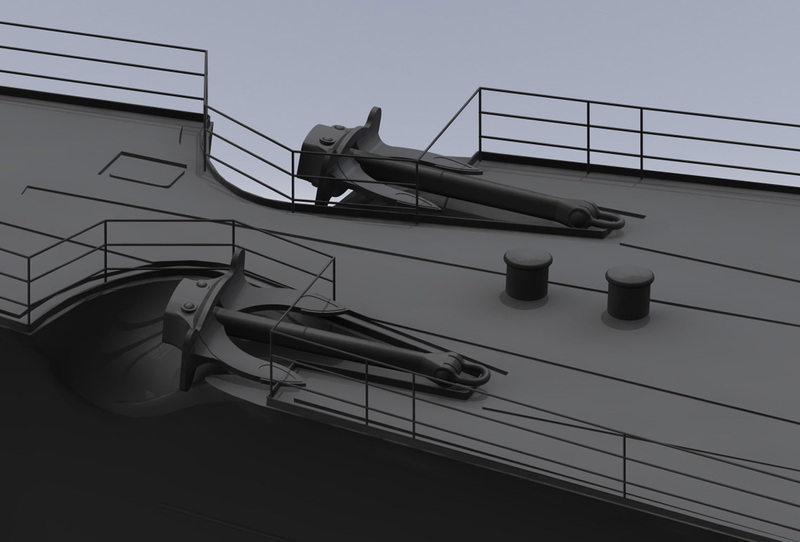 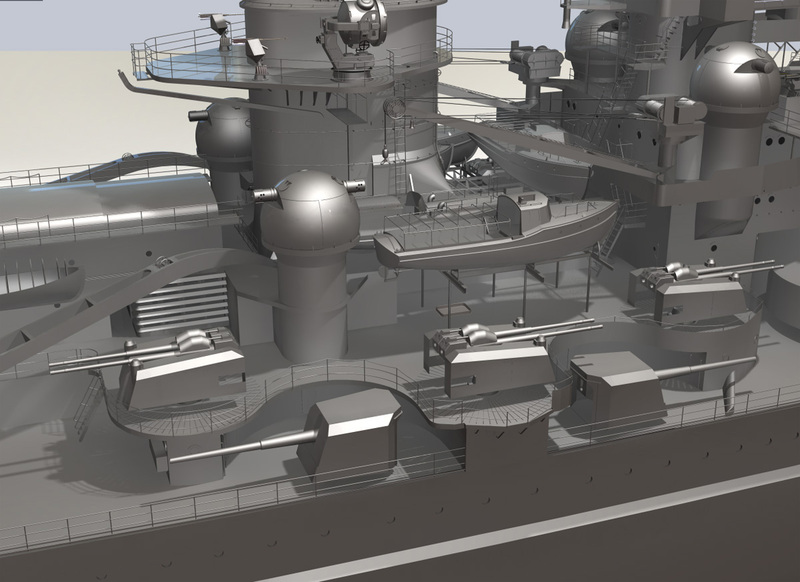 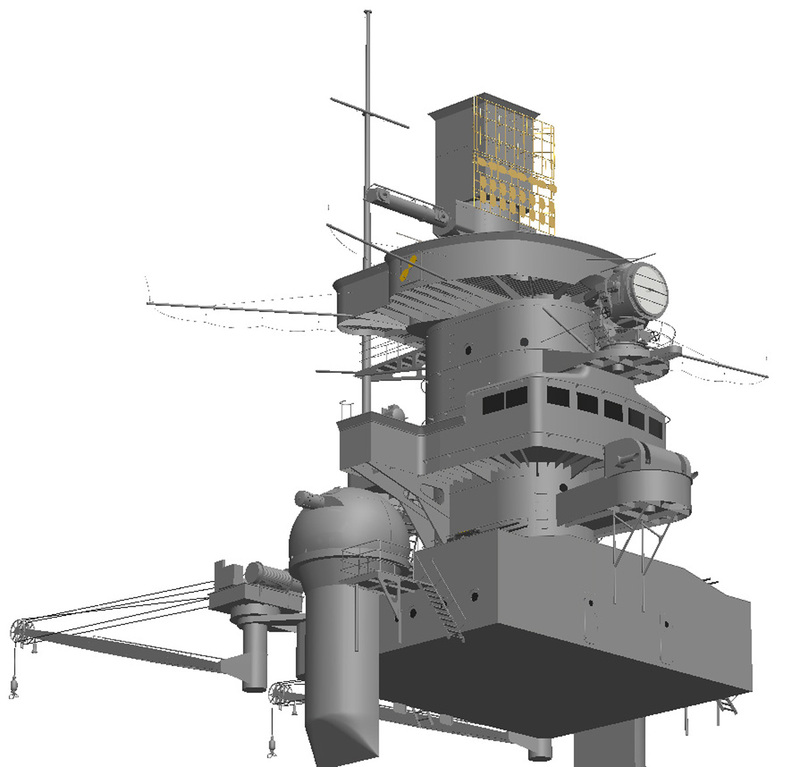 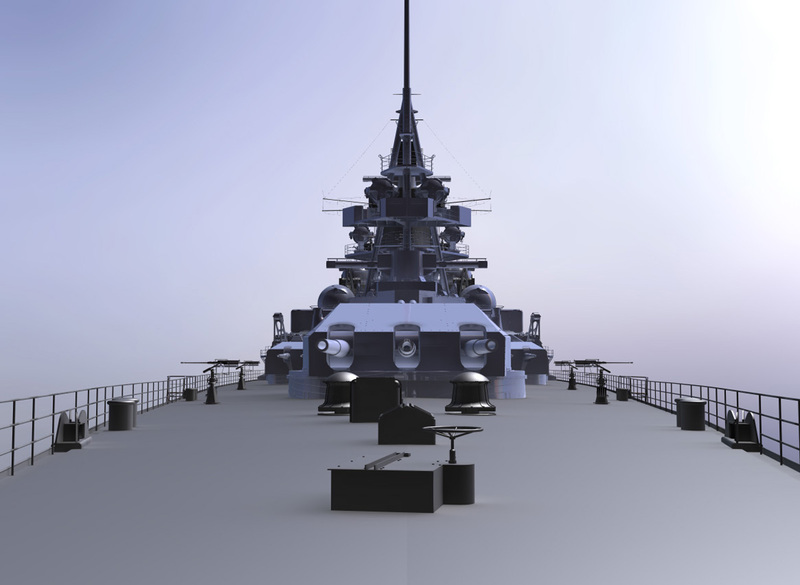 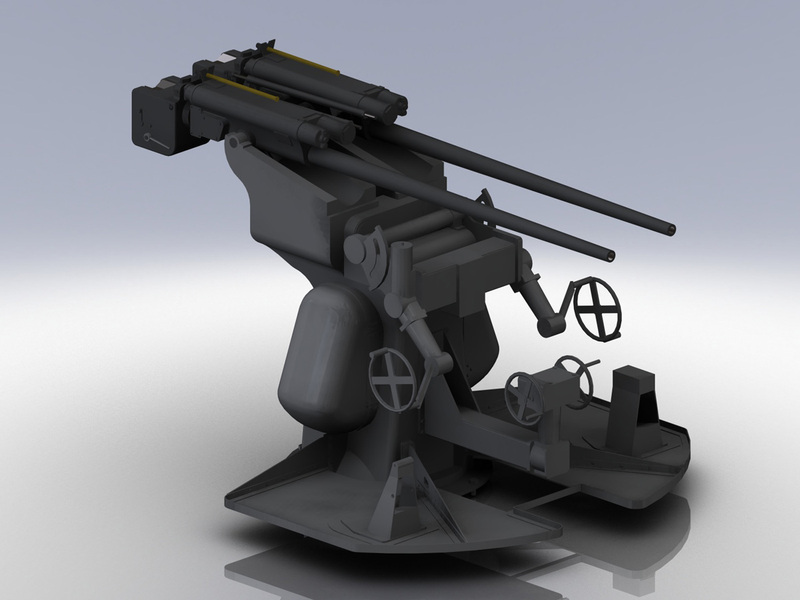 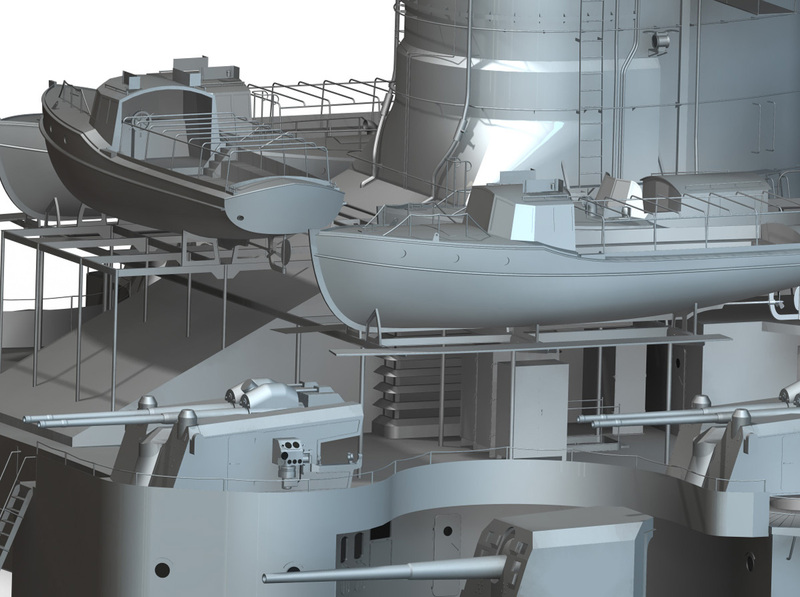 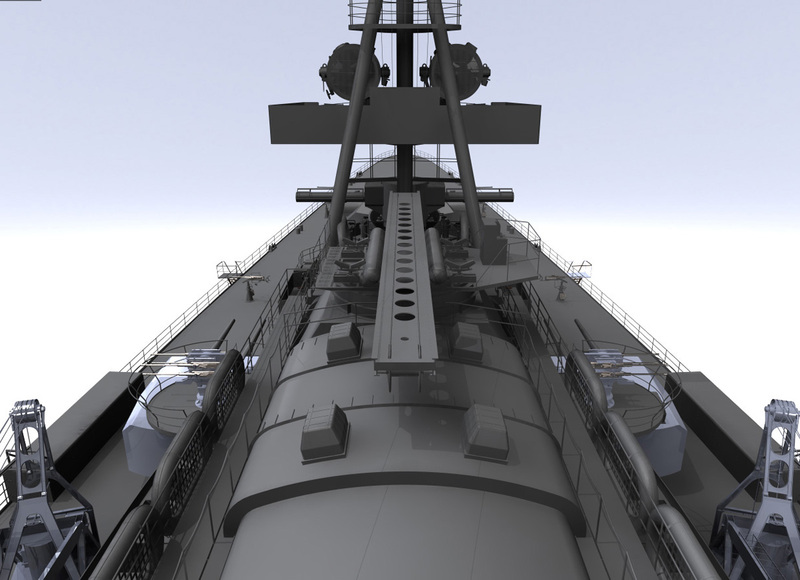 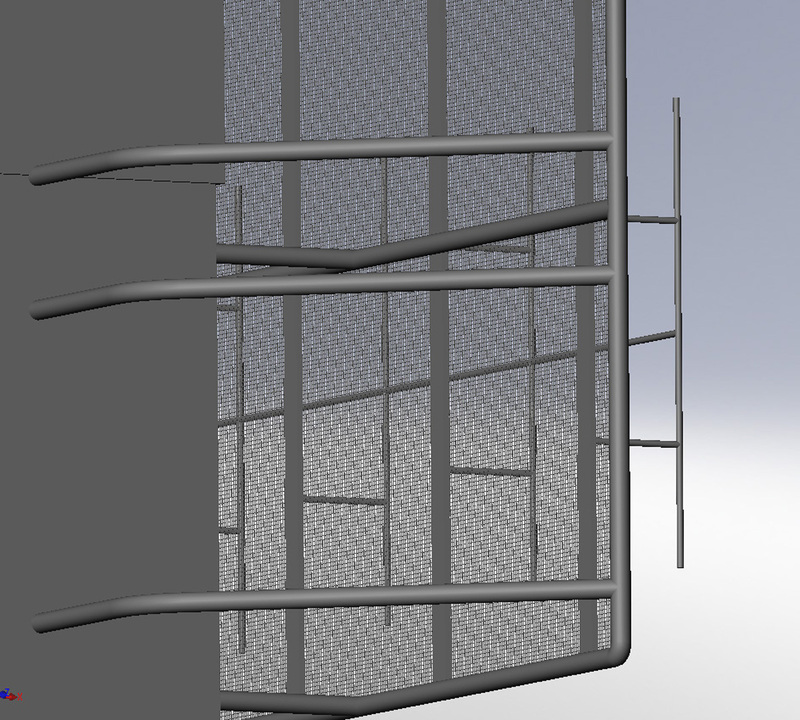 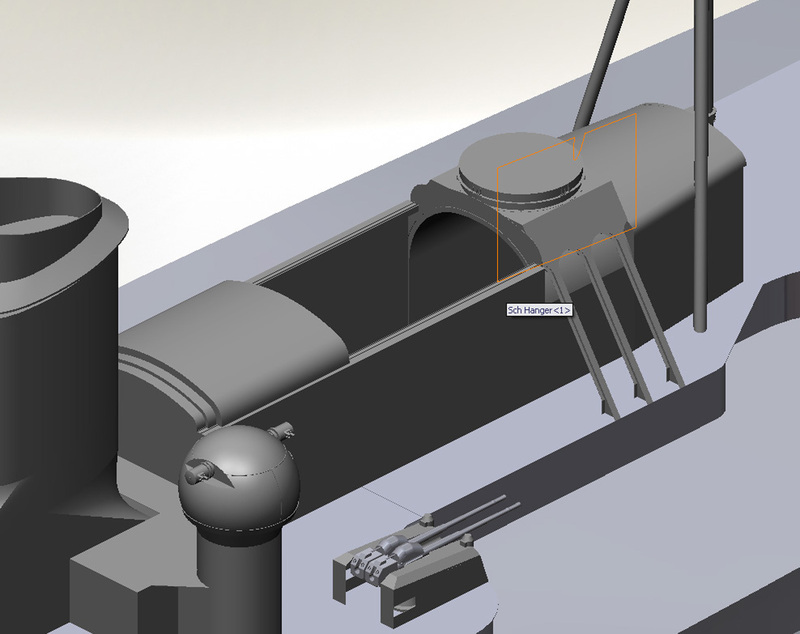 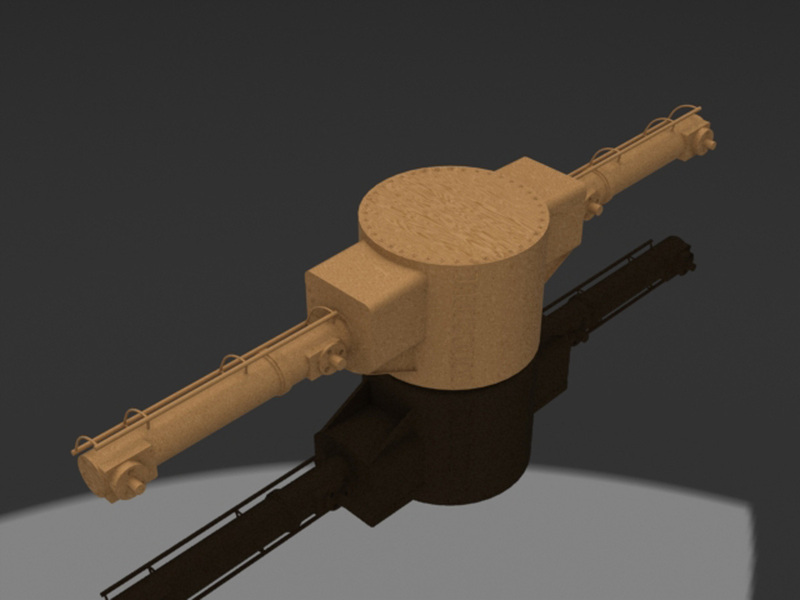 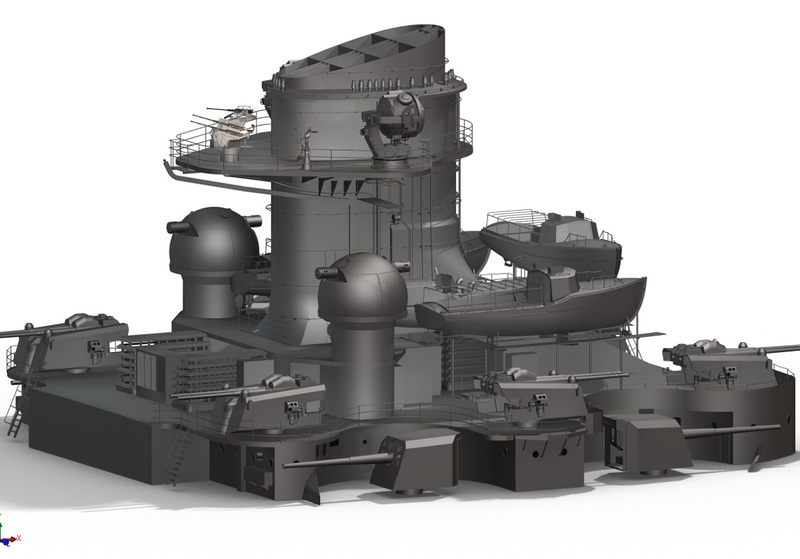 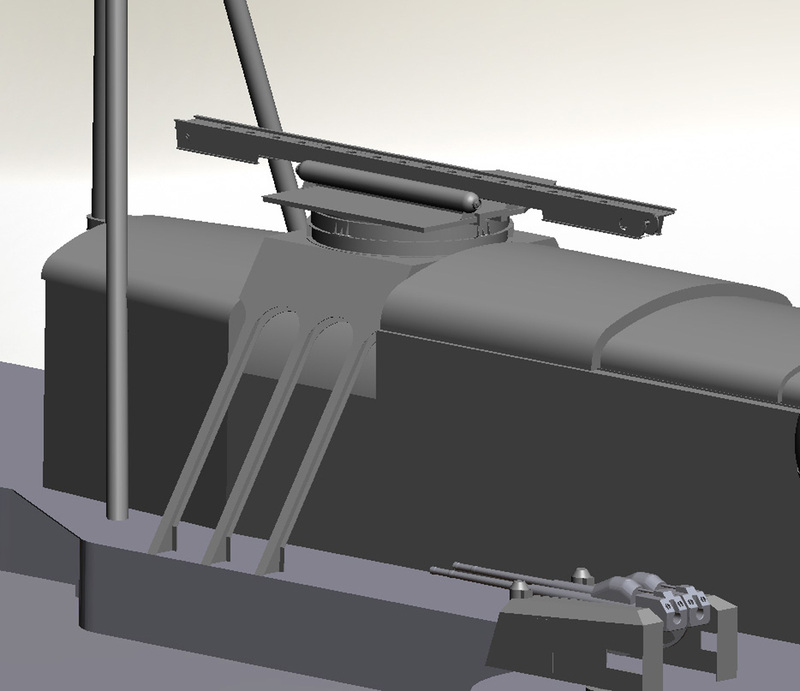 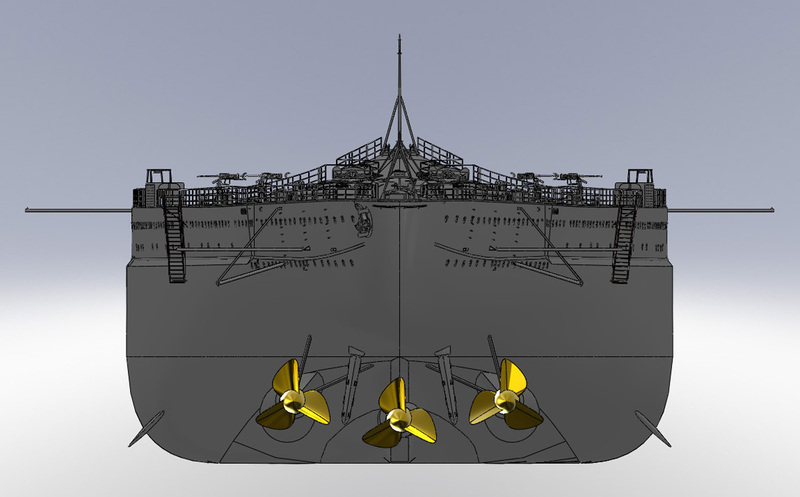 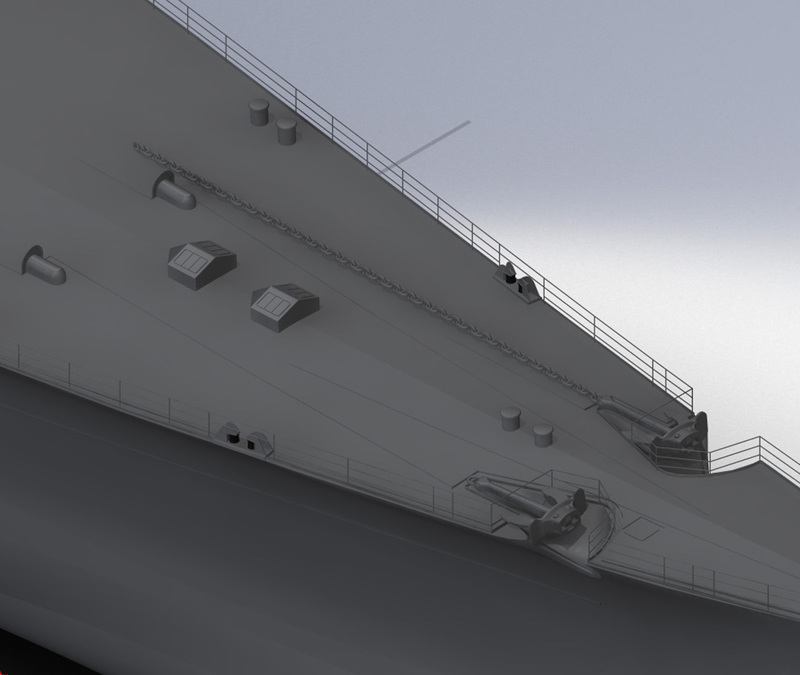 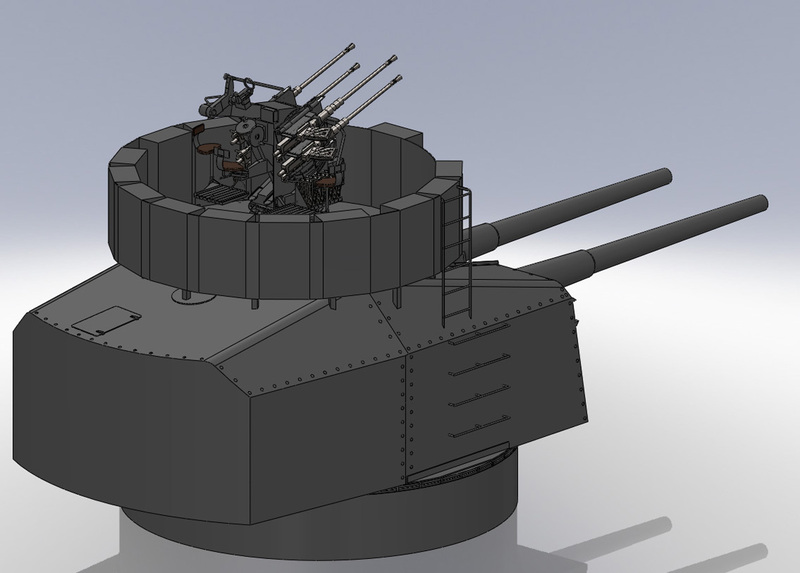 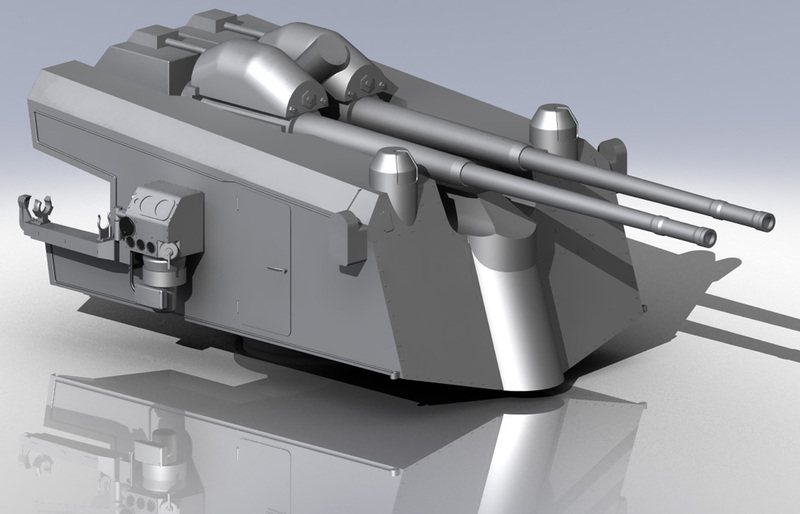 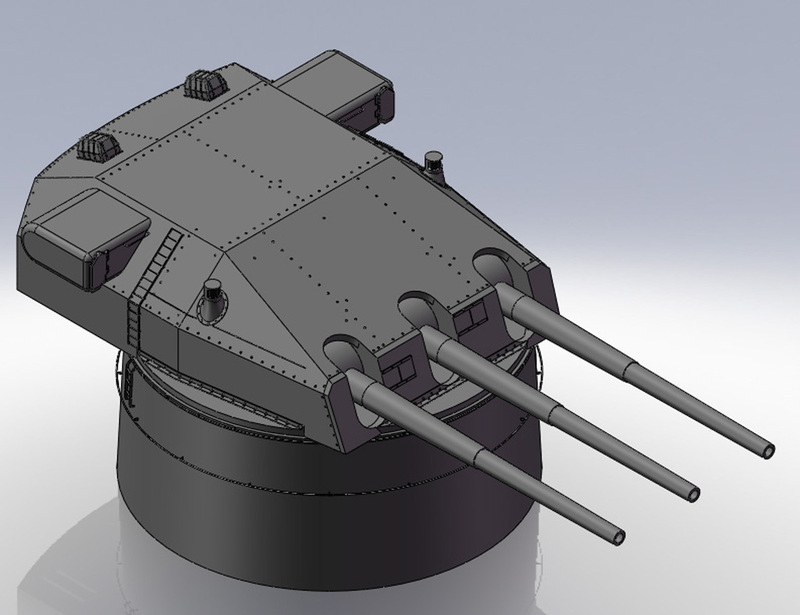 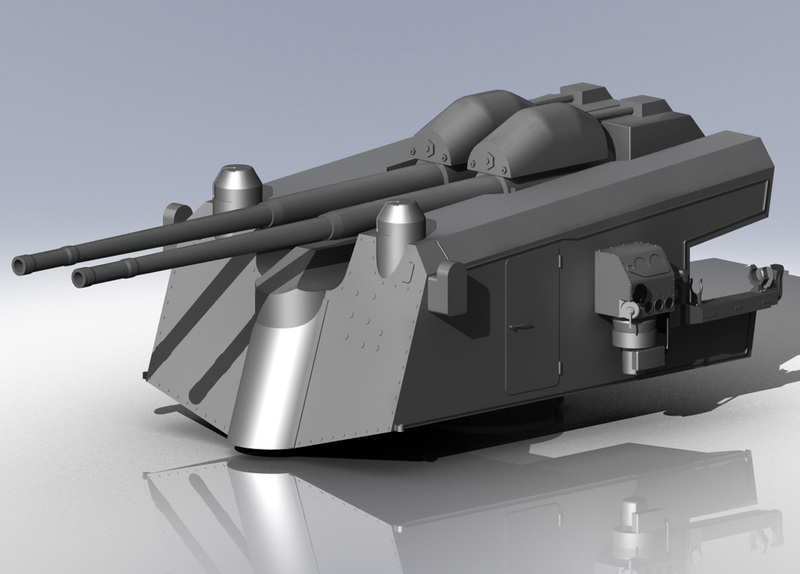 These are renders and screen captures of the Scharnhorst model I did for Dragon. 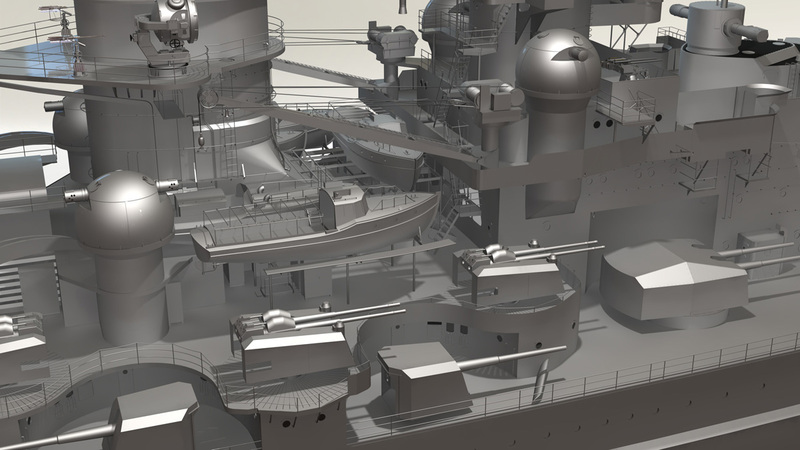 They show the progression of the model from start to finish. 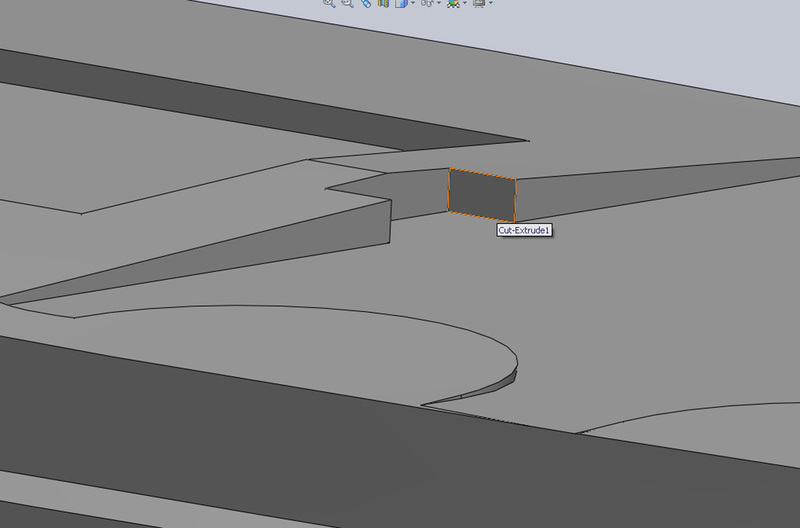 Some of them are repeats and some were done just for kicks. 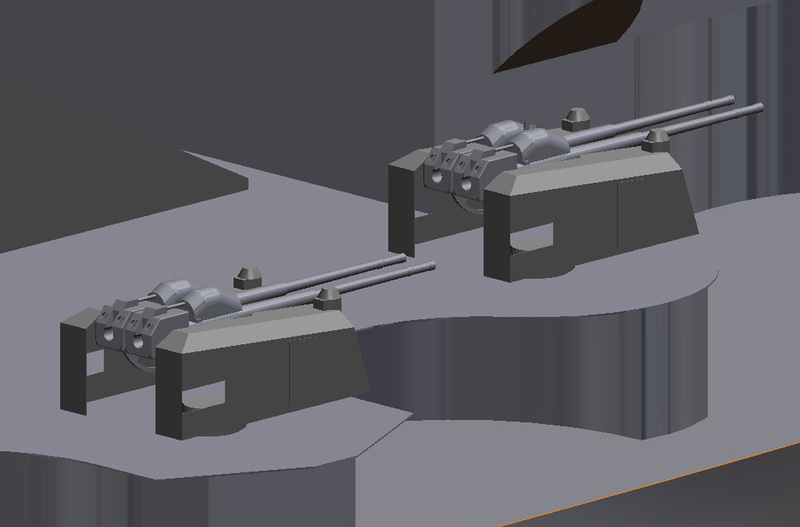 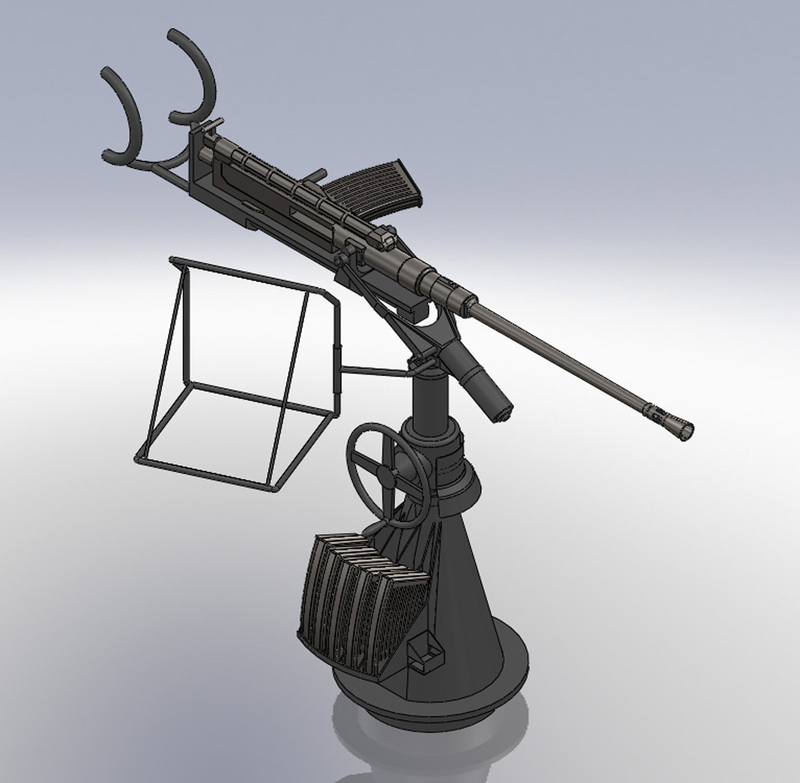 Near the end you will see several different variations of the camo patterns. 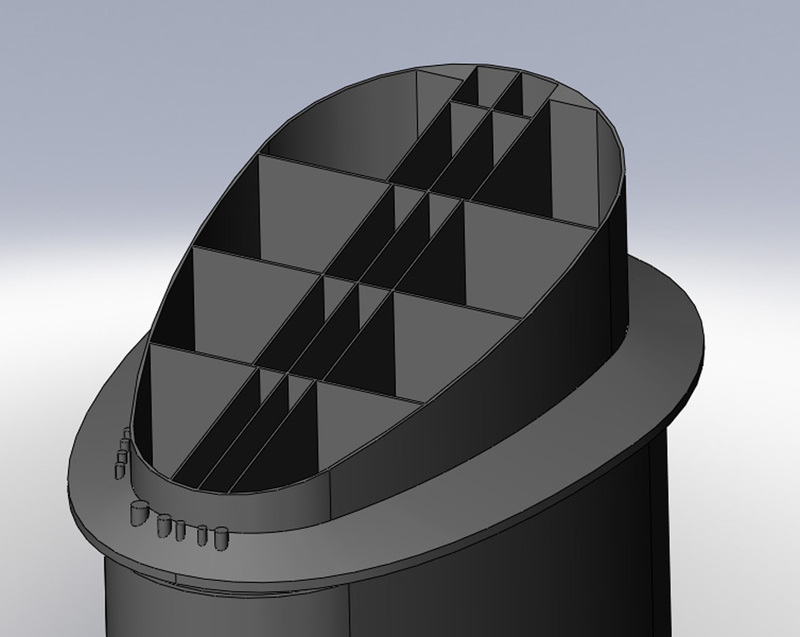 Steve Wiper and I had to work at them to get the pattern right and we later found out the colors were innacurate, but the pattern is correct in the last three. 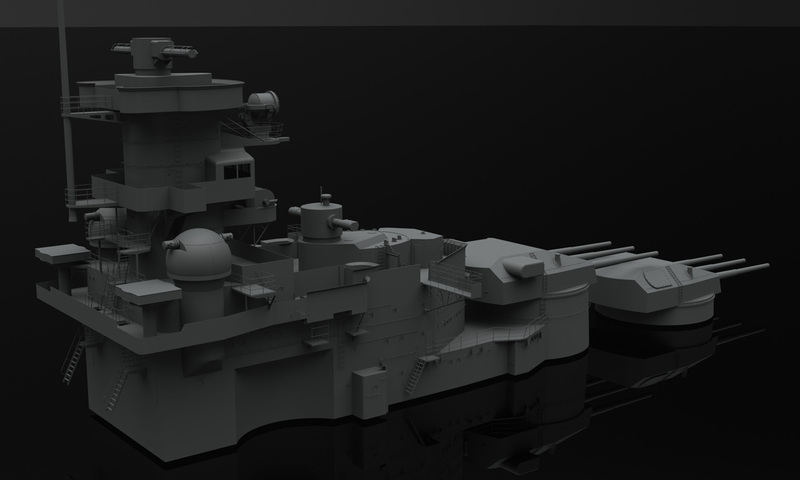 The camo was just for fun anyway, it wasn't a vital step in the process. 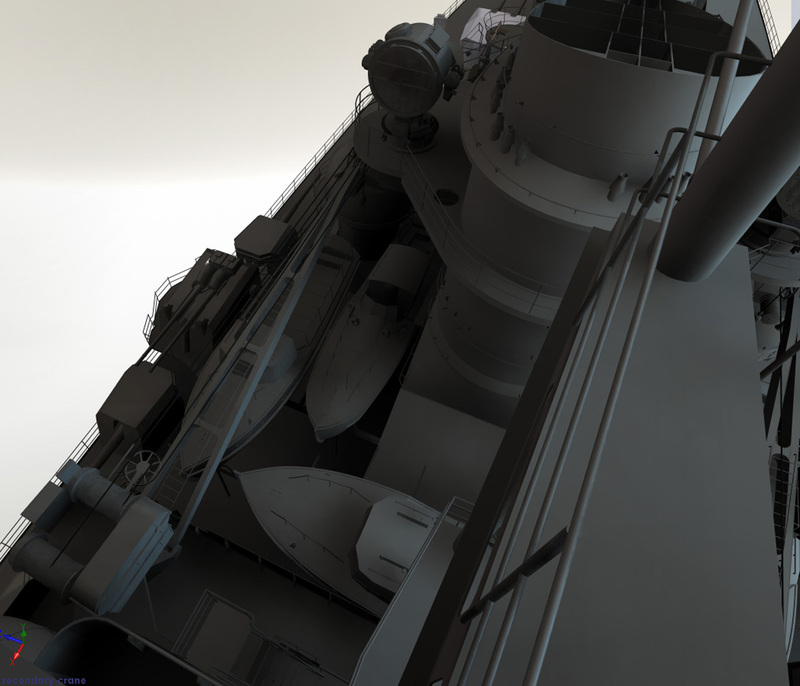 In fact a lot of things you will see were just for fun.